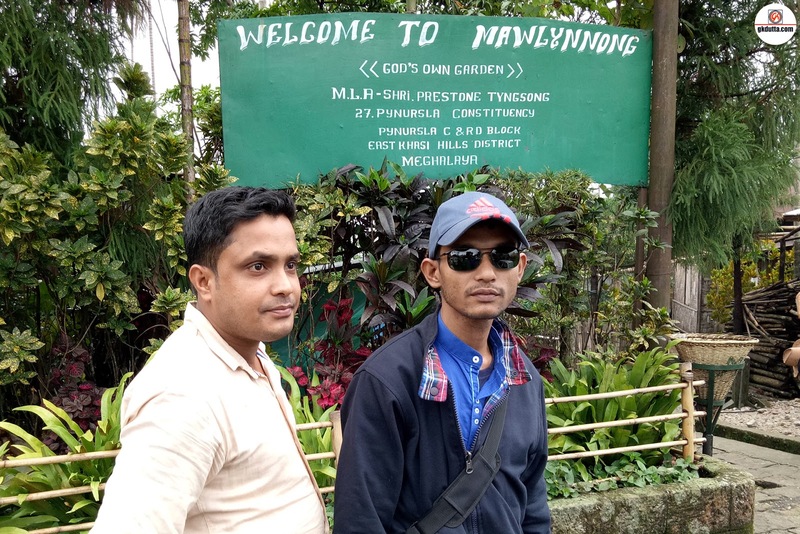 As a part of our Shillong, Meghalaya trip on 22nd April 2017 around 7.30PM we started our journey for Shillong via Jowai and Dawki from Dharmanagar. 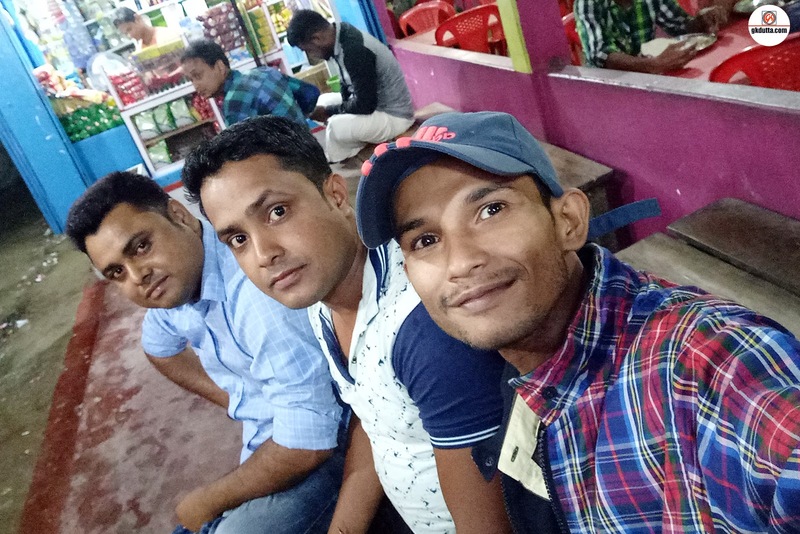 Around 9.30PM we had a tea break in a road side Dhaba at Cheragi, Assam. 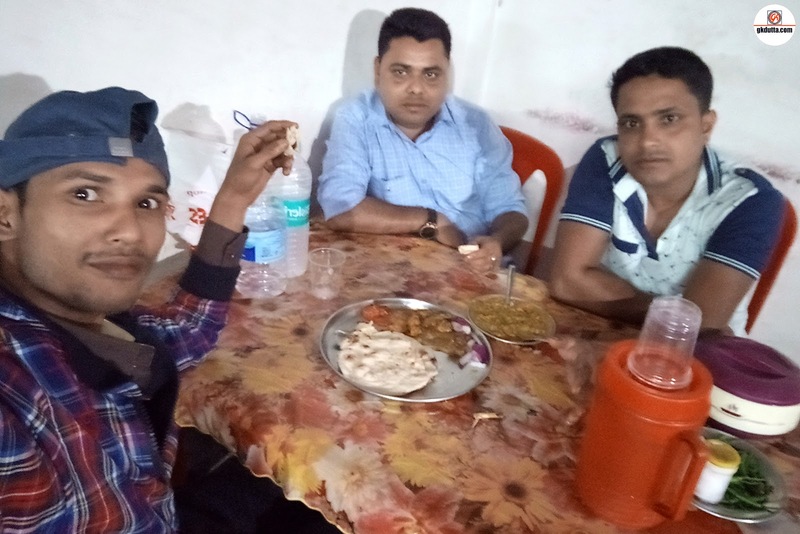 Around 12.30AM (23.04.2017) we had our dinner in a road side Dhaba at Hilara, Assam. 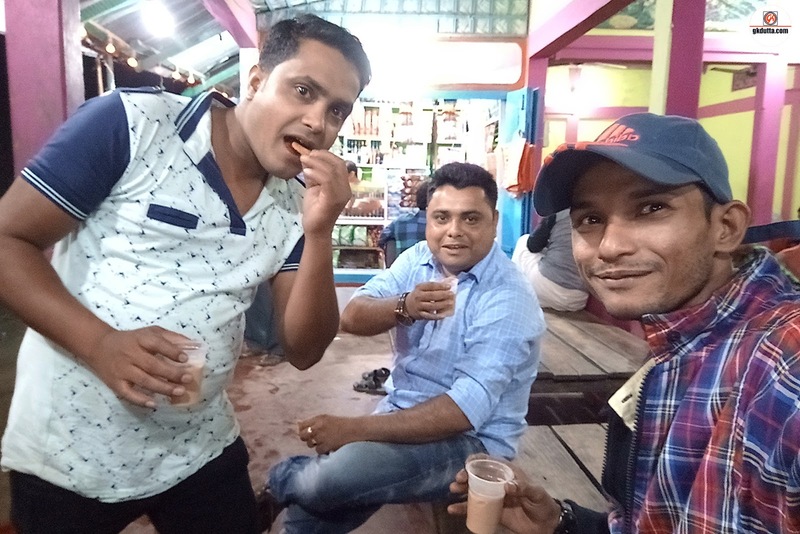 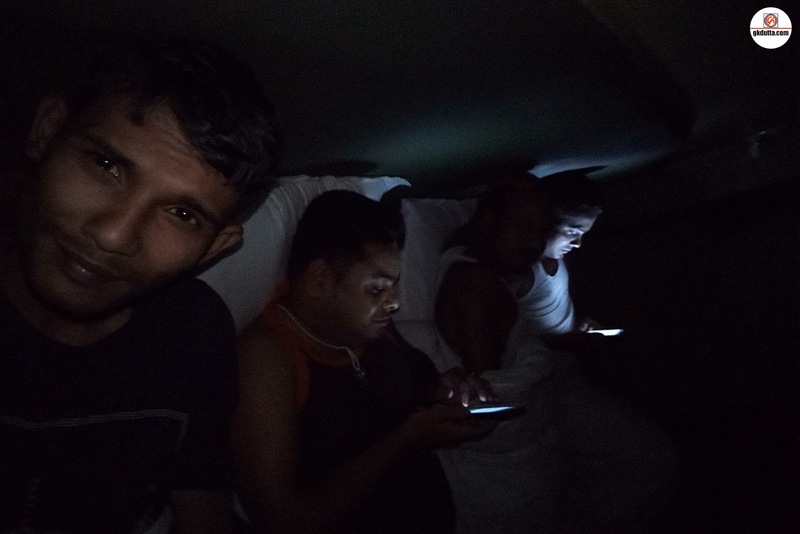 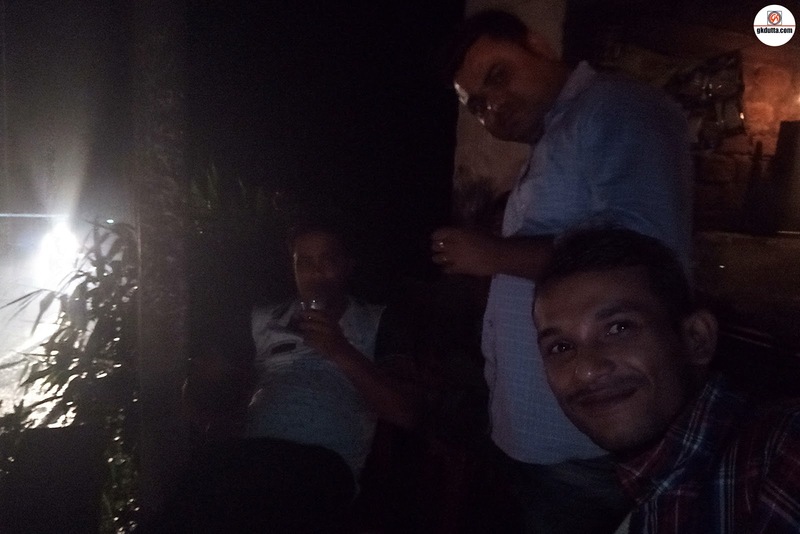 Around 2.30AM we had a tea break in a road side tea stall at Umkiang, Meghalaya and my two friends also had two hours sleep to start our journey again. 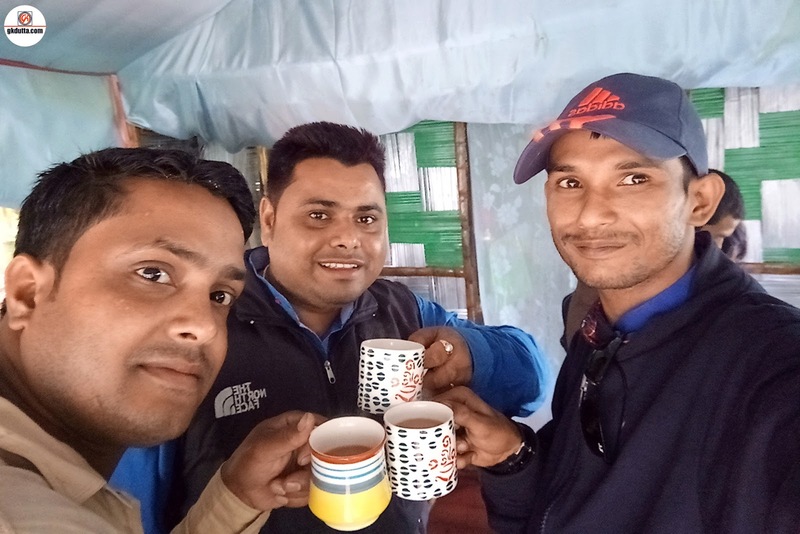 Around 7.30AM (23.04.2017) we had our breakfast in a road side tea stall at 8 Mile Road, Meghalaya and after 15minues break we start our journey towards Jowai, Meghalaya. 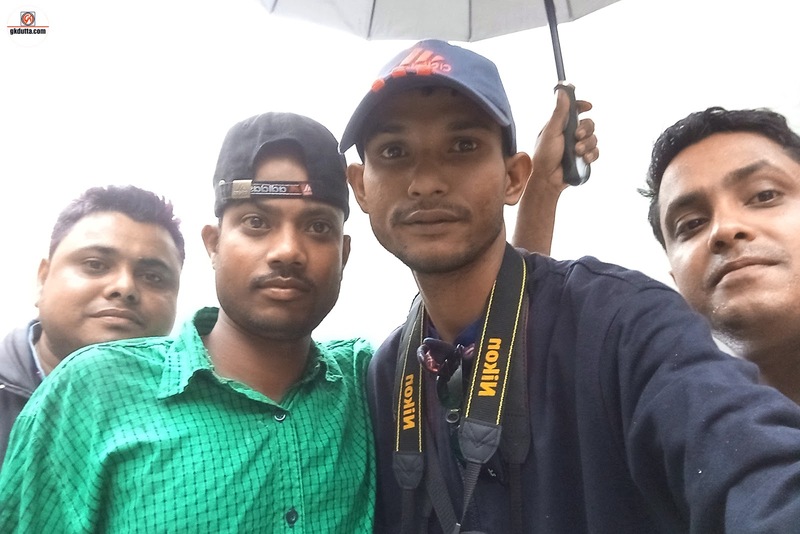 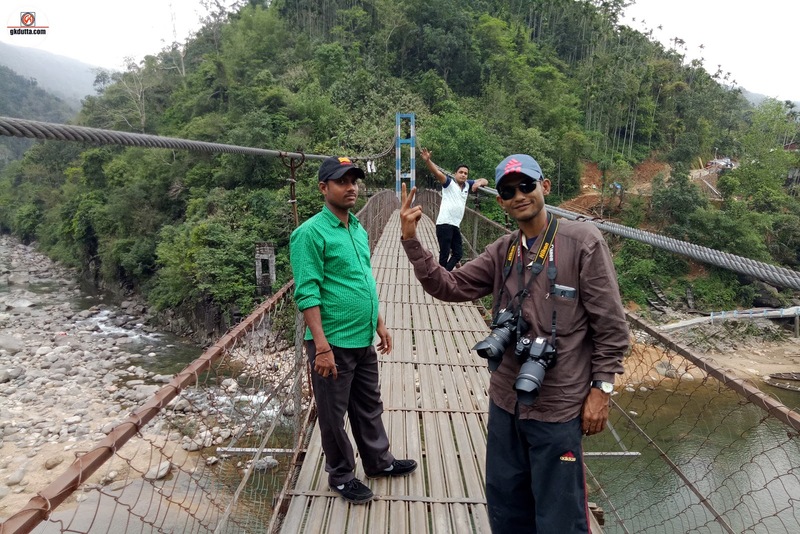 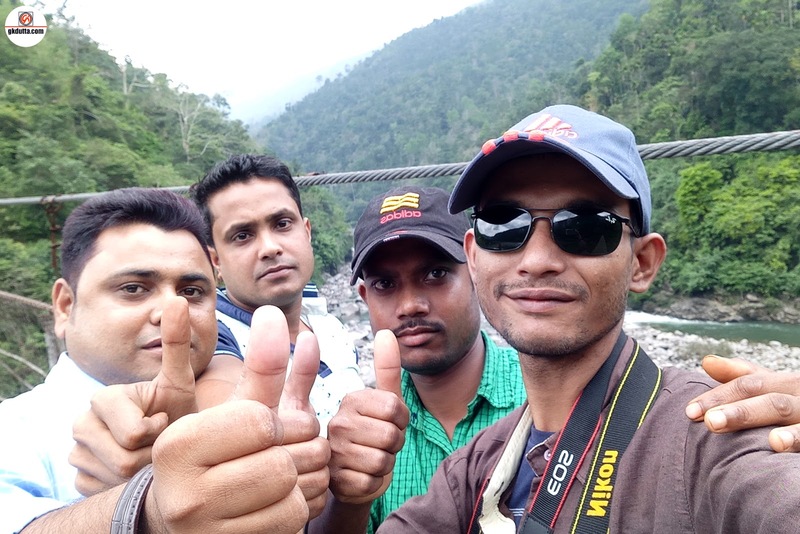 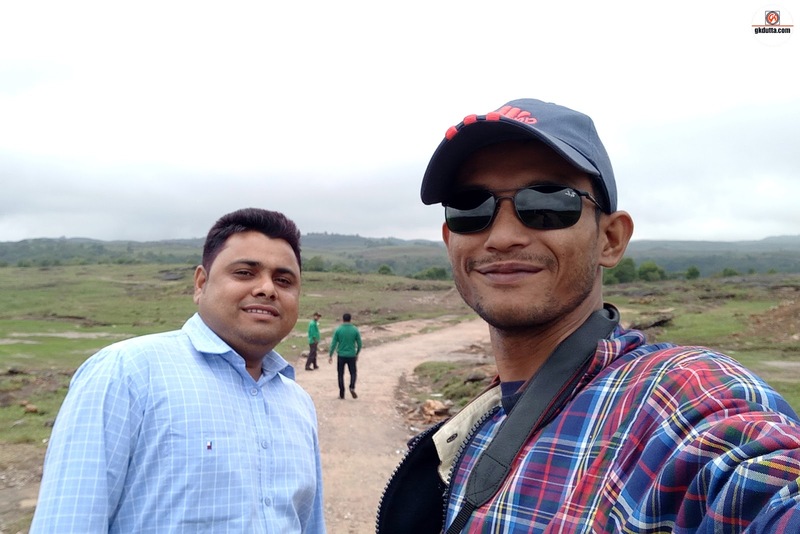 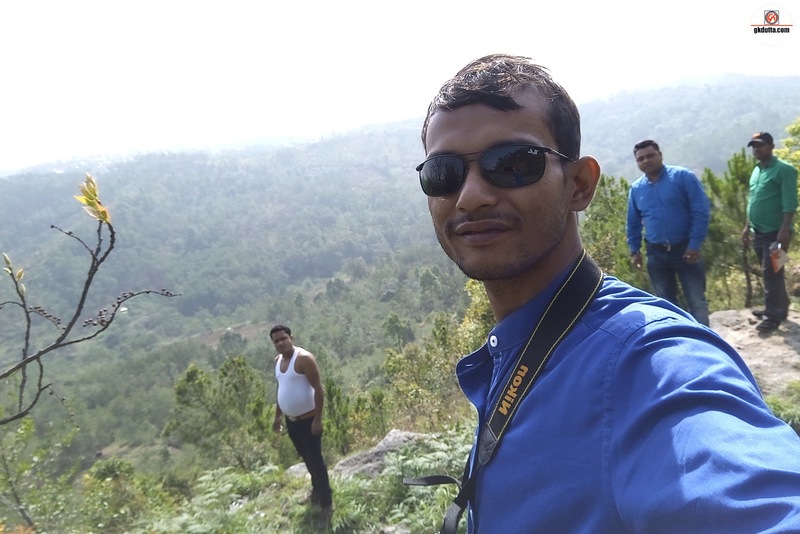 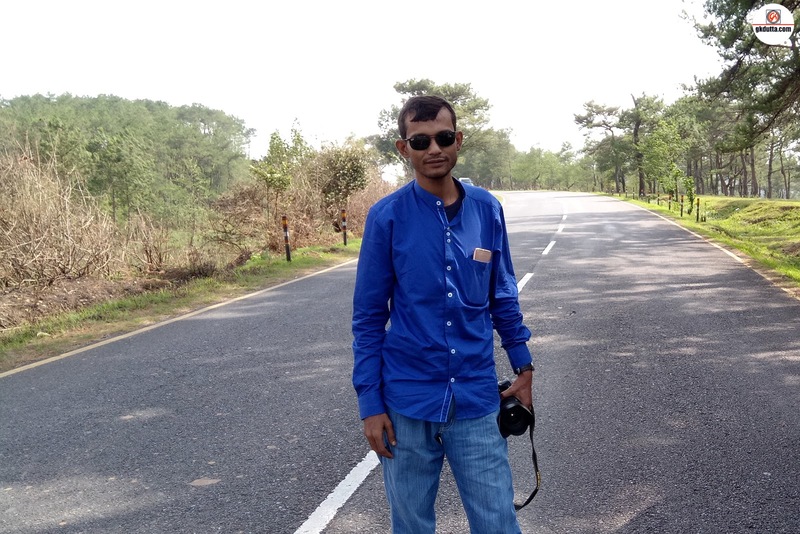 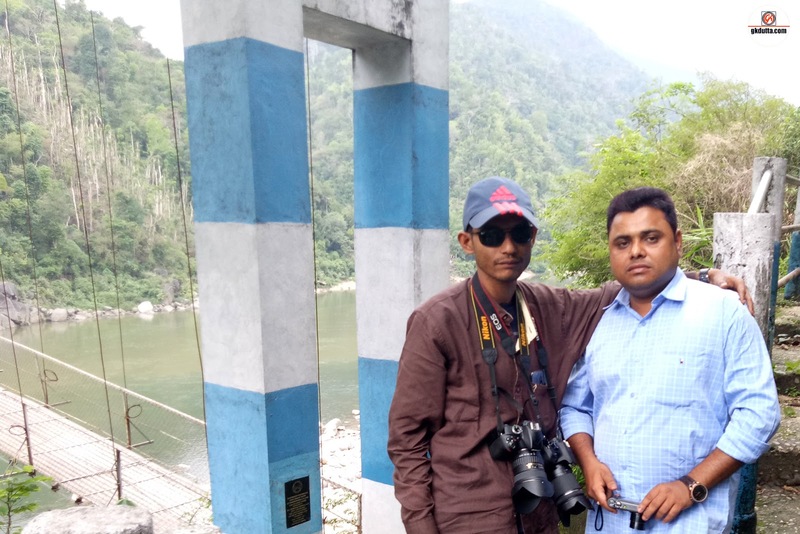 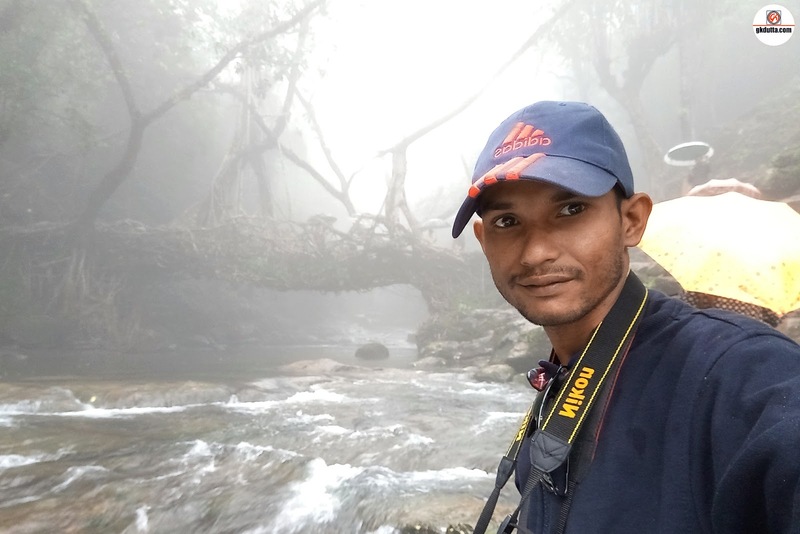 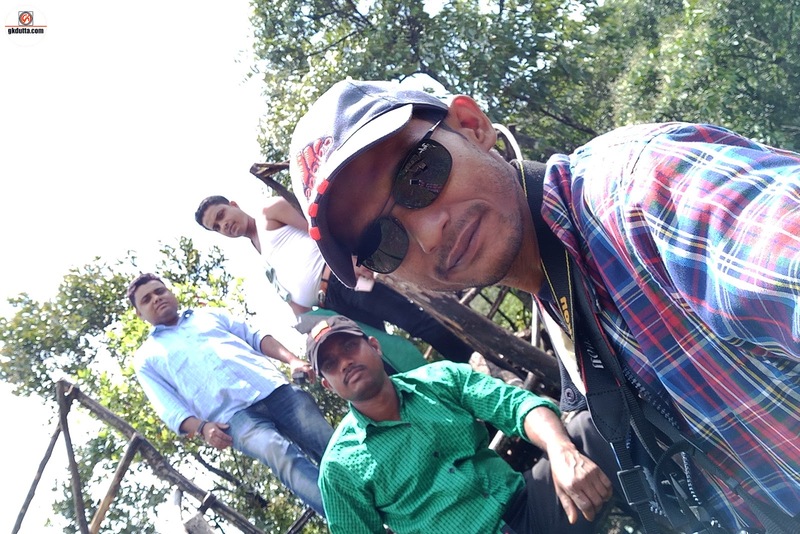 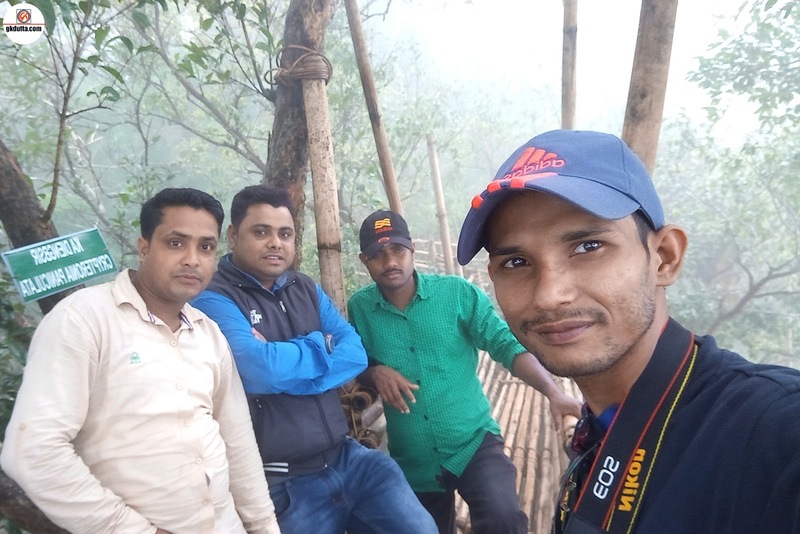 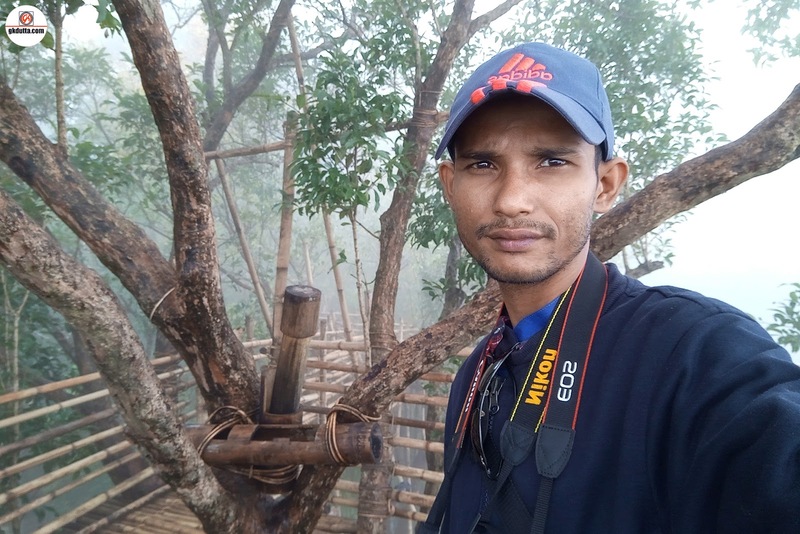 We spent few hours in Jowai Road and enjoyed the natural beauty and clicked few photographs in-between places also enjoyed street food in a road side shop. 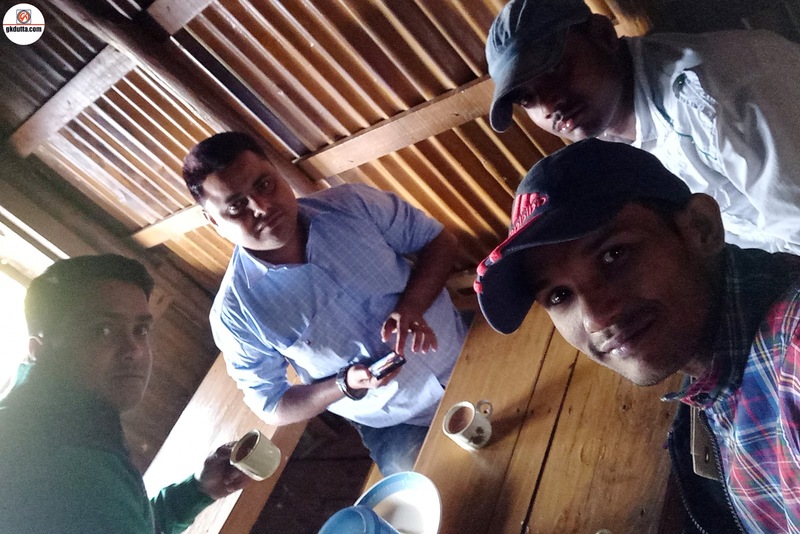 Around 9 AM we reached Amlarem village and spent few hours there also had tea in tea stall at local market. 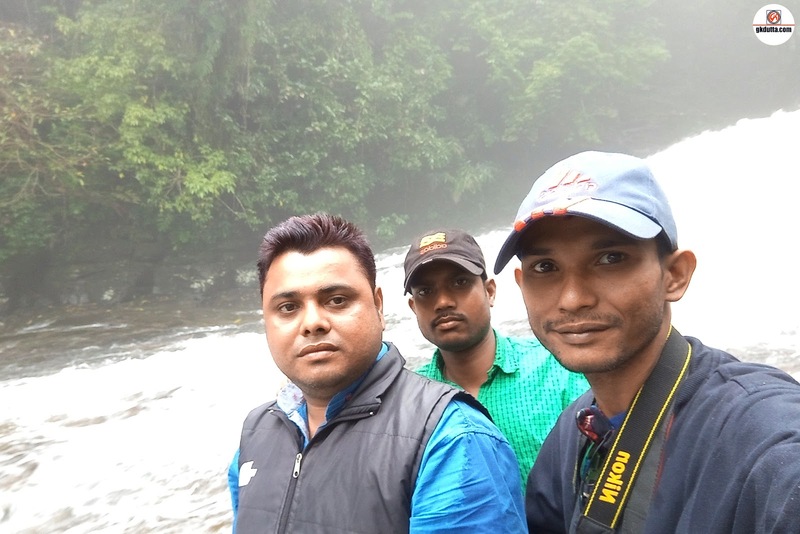 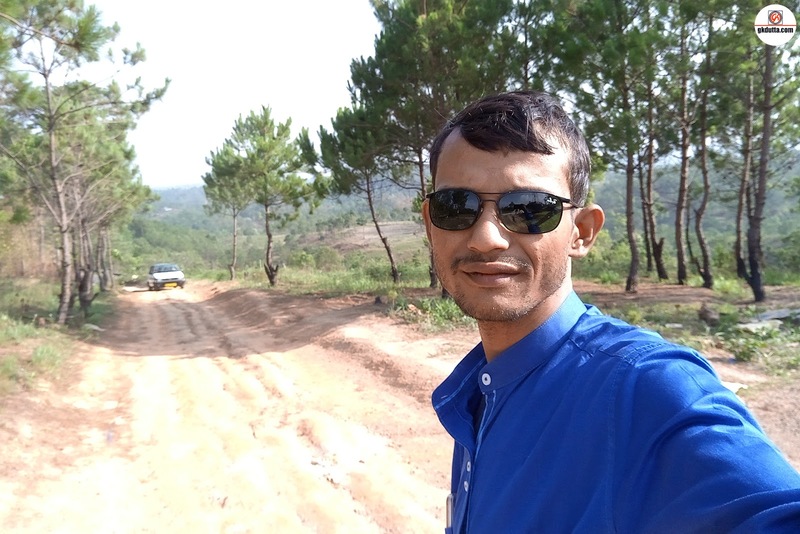 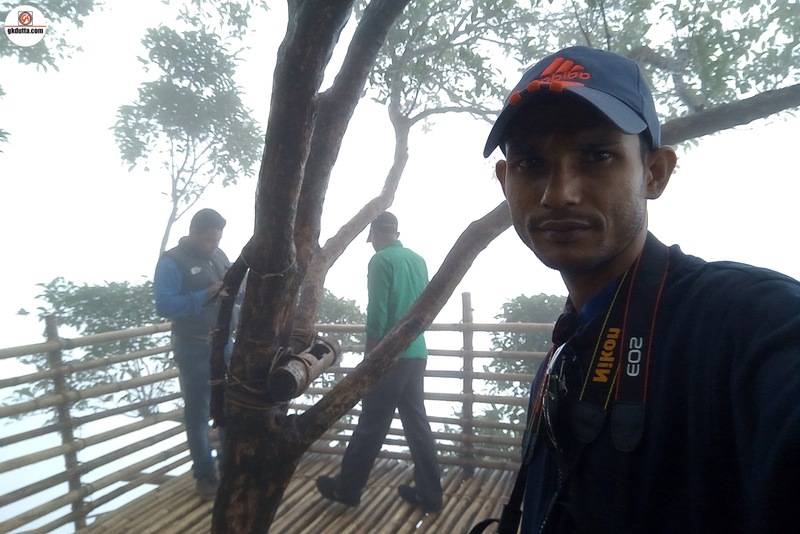 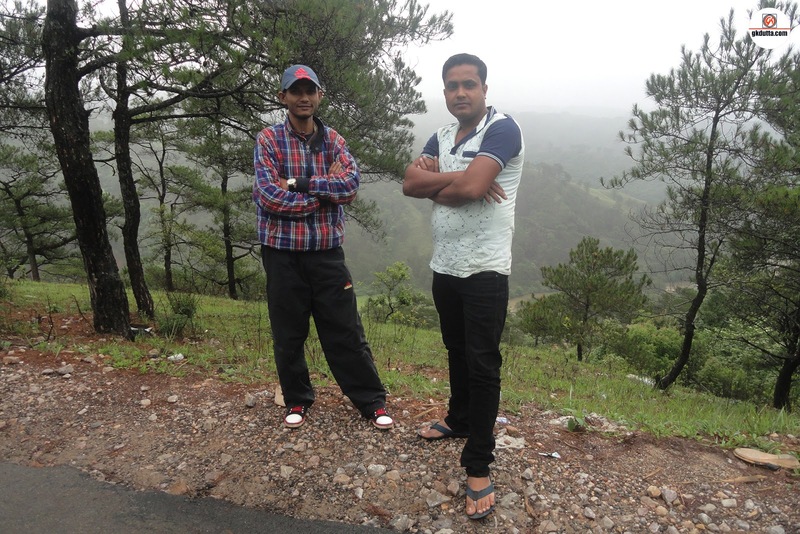 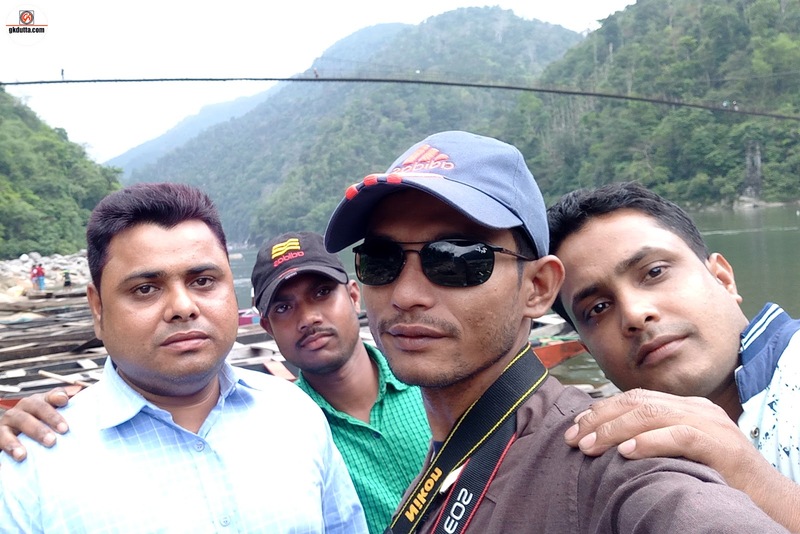 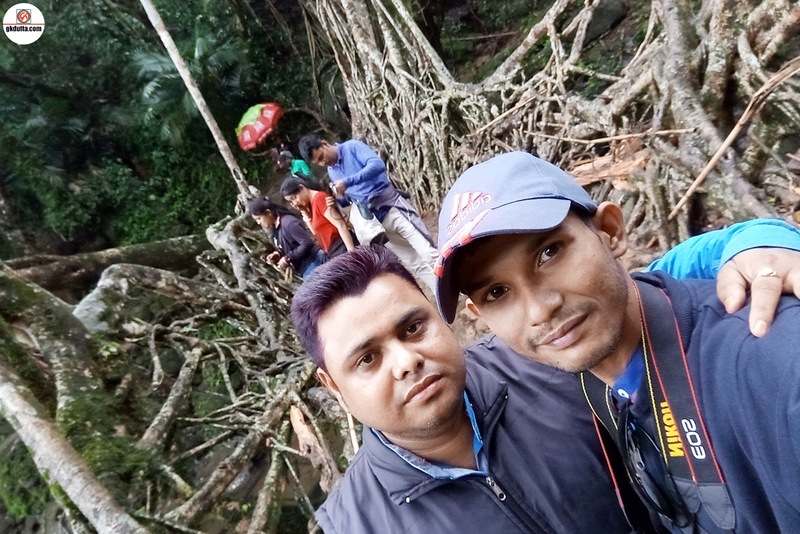 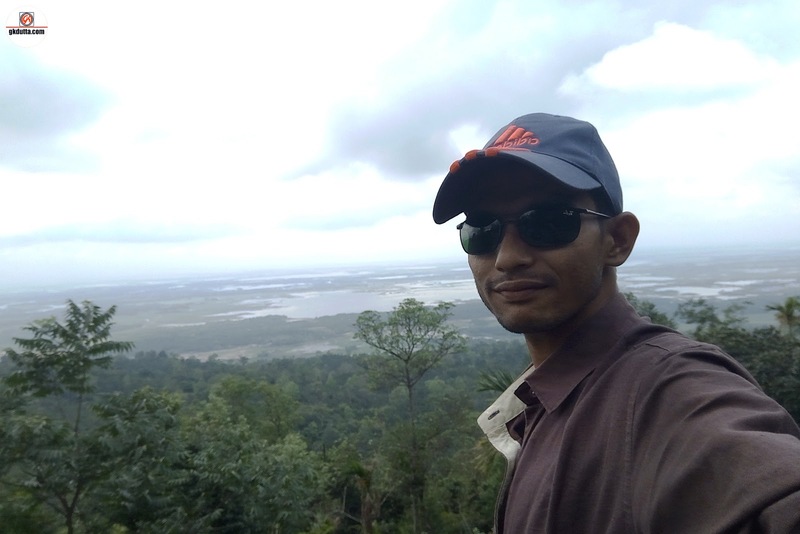 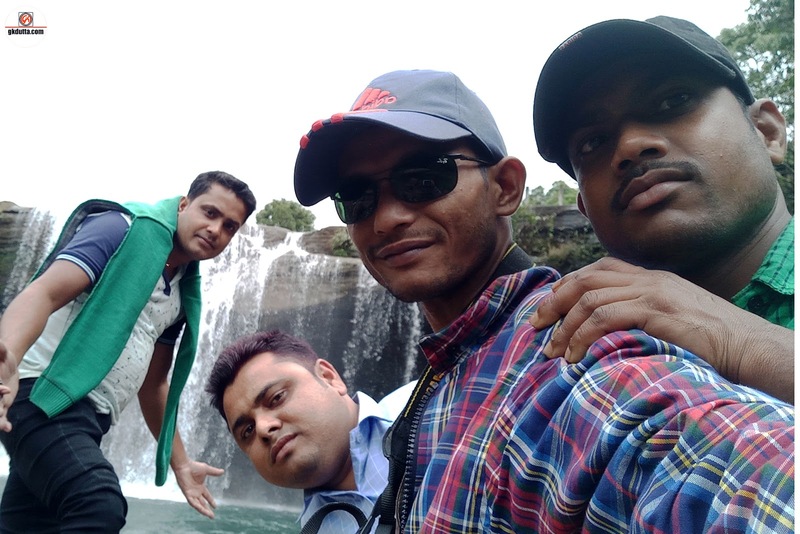 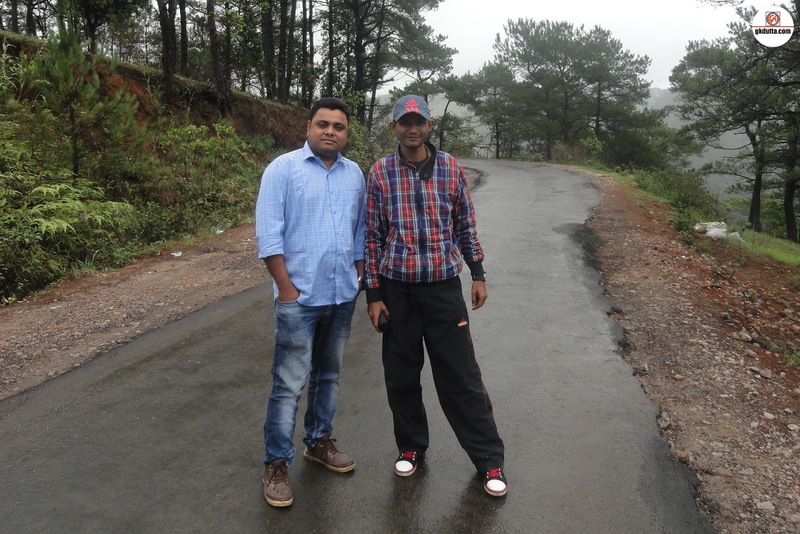 Around 11.30 AM we reached Krang Suri and spent few hours there and enjoyed natural beauty of Meghalaya. 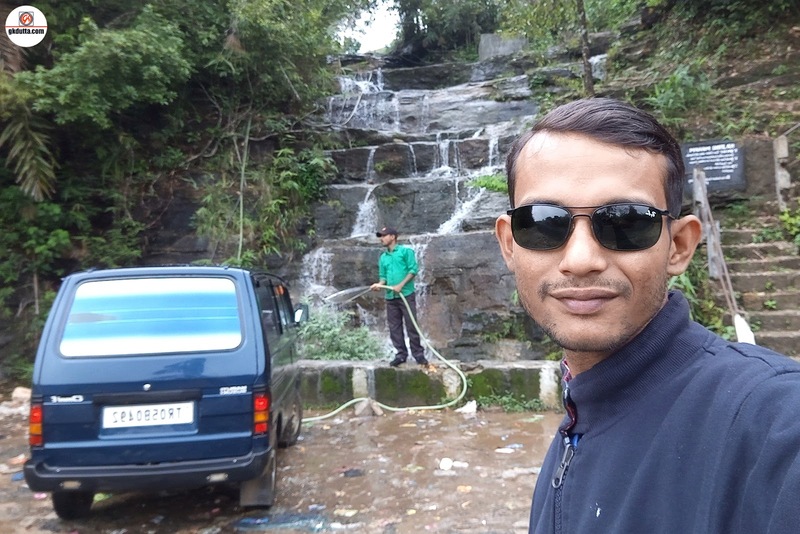 Krang Suri is one of the most beautiful waterfalls in the Jaintia Hills District of Meghalaya state. 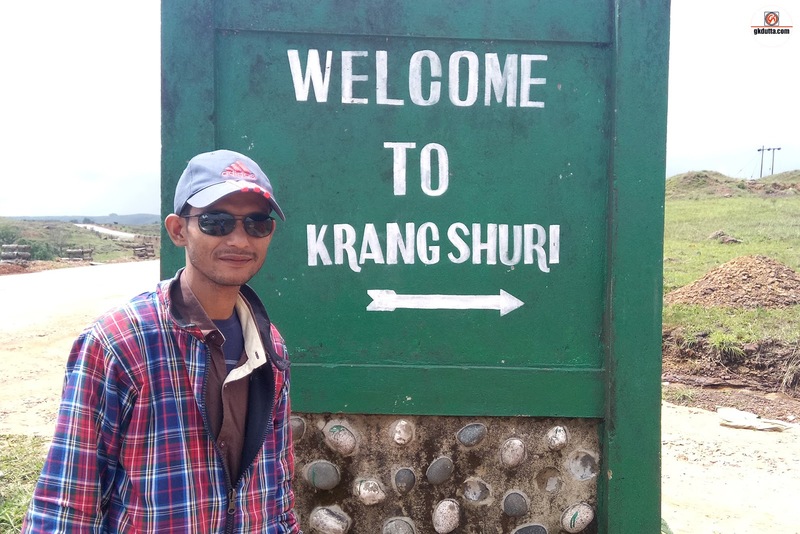 Krang Suri is located in the Amlarem Civil Sub Division. 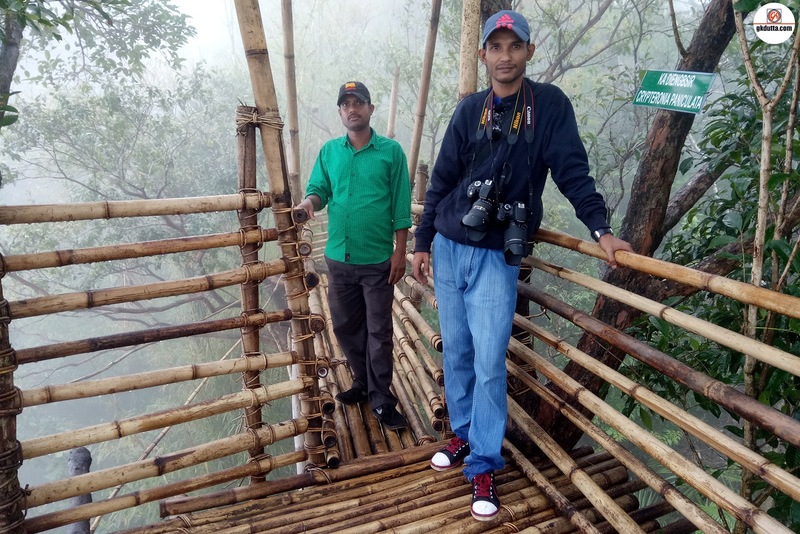 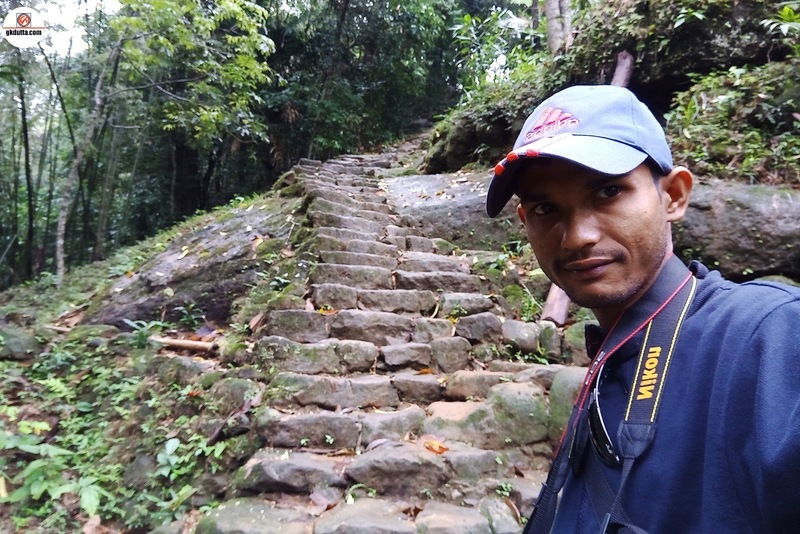 To transform the place into a tourist’s destination the District Administration has initiated steps to construct Chiseled and graveled footpaths and view points to enable visitors to better appreciate the beauty of the waterfall and its surroundings. 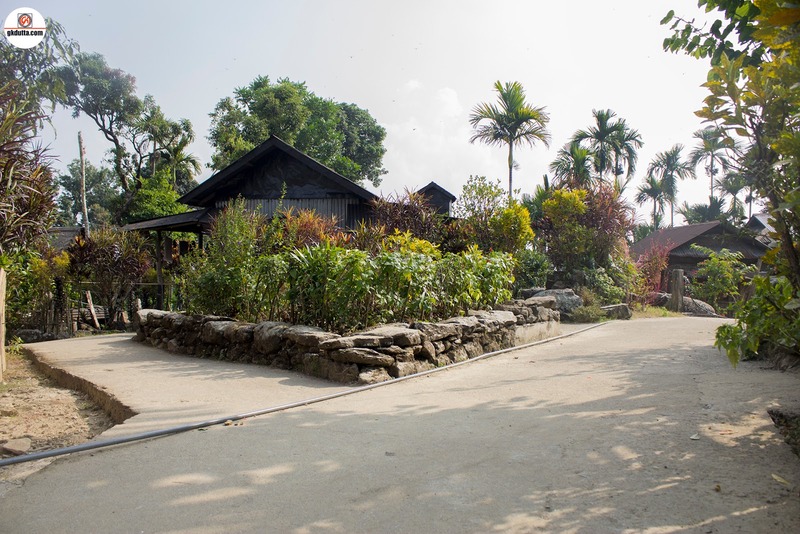 The footpaths are hewn from the natural multi colored stones available in the area, no cement has been used and stones have been placed symmetri­cally to enhance the aesthetic appeal of the area. 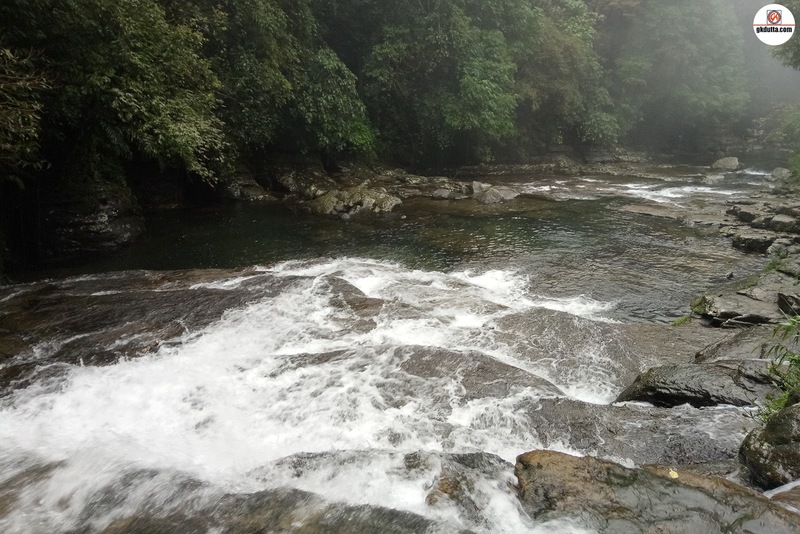 We spent two hours in Krang Suri waterfall and around 1.30 PM we leave for our next destination Shnongpdeng Village. 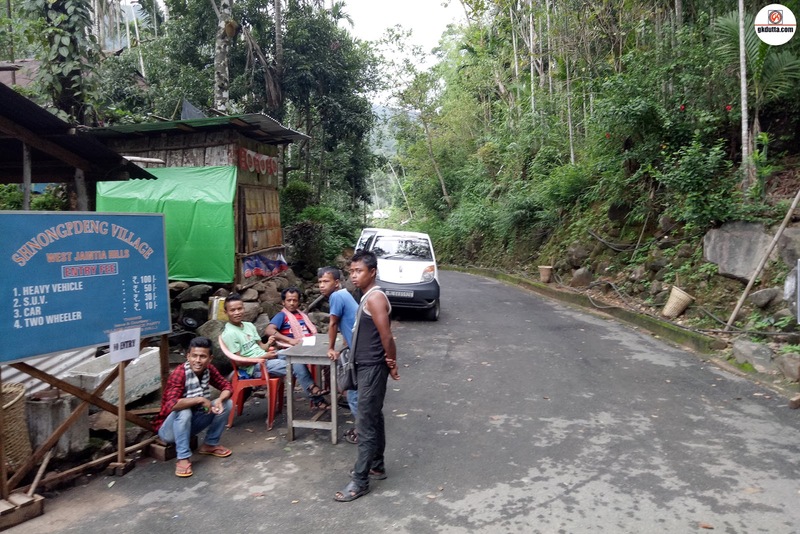 In our way to Shnongpdeng Village we had a tea break at Wahlyngdoh and interact with the local people. 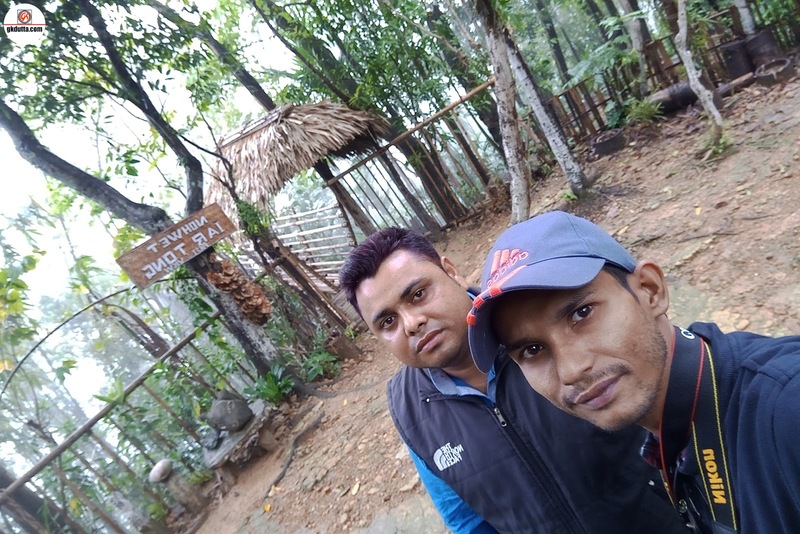 Shnongpdeng village is located in Amlarem Tehsil of Jaintia Hills district in Meghalaya, India. 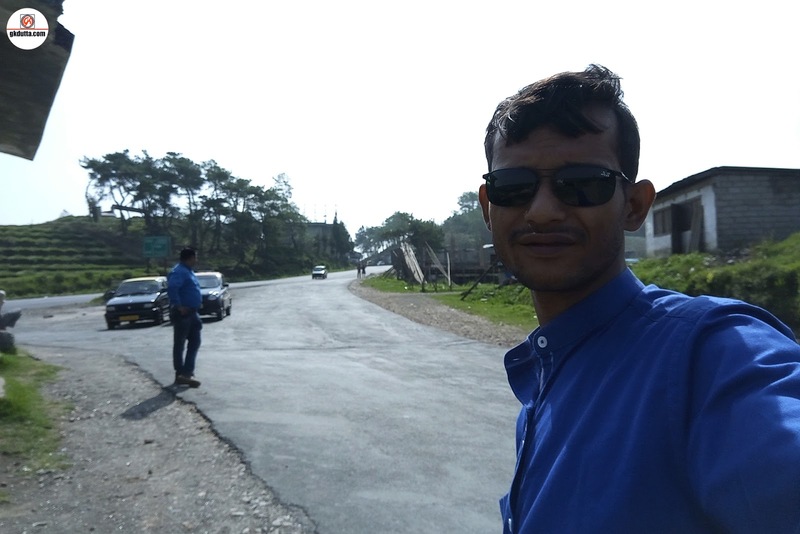 It is situated 40km away from sub-district headquarter Amlarem and 59km away from district headquarter Jowai. 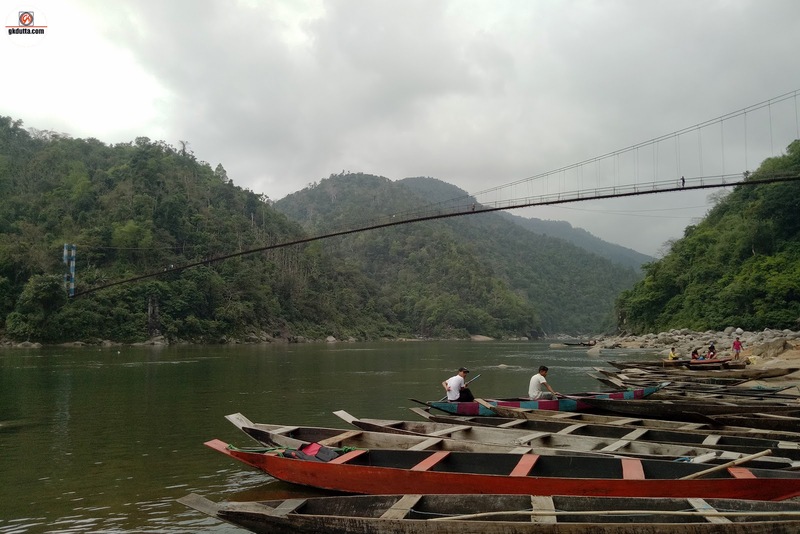 Shnongpdeng has a total population of 655 peoples. 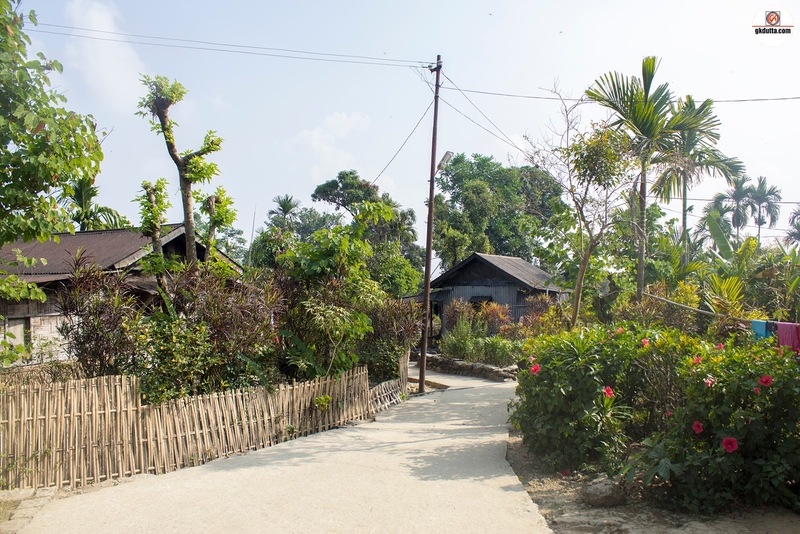 There are about 126 houses in Shnongpdeng village. 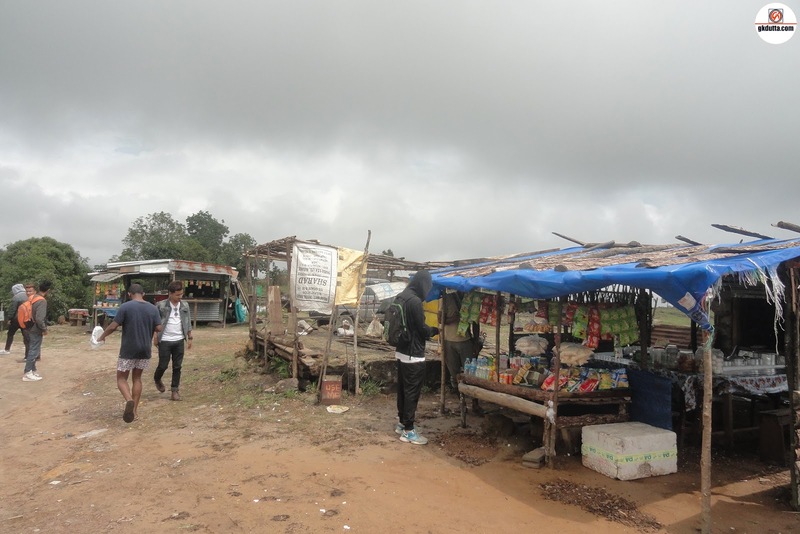 Amlarem is nearest town to Shnongpdeng. 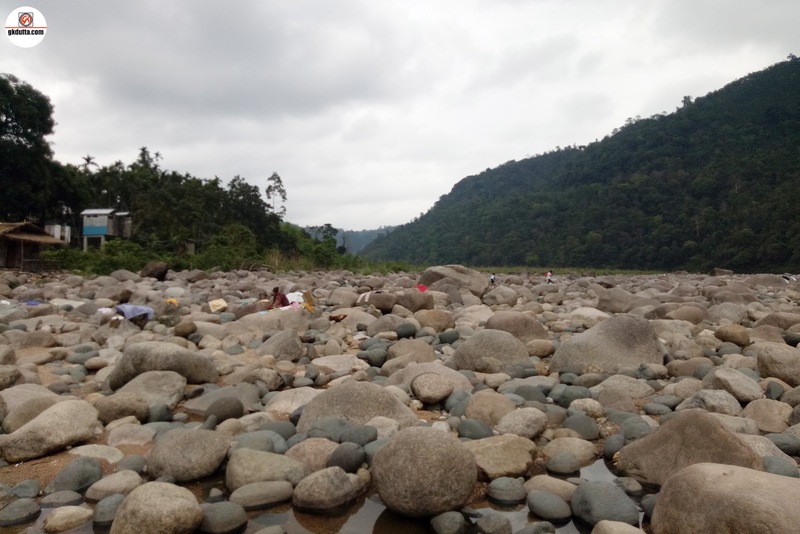 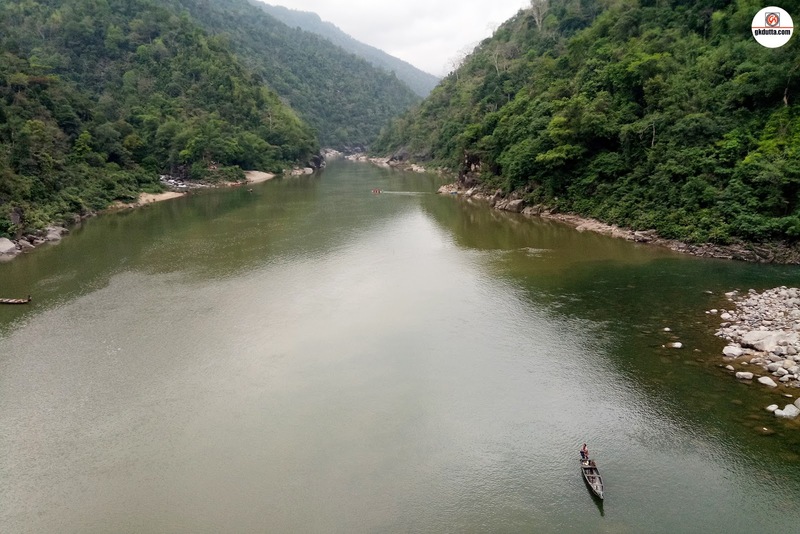 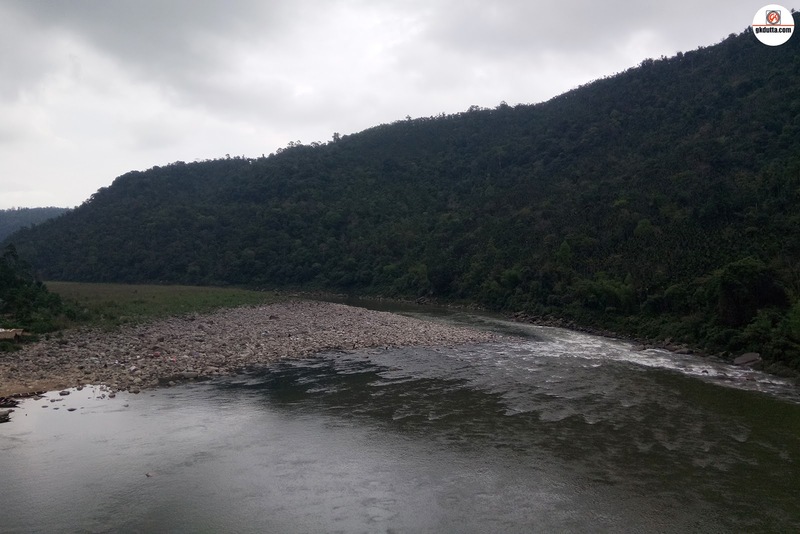 Umgot River is passes by the village which makes it attractive place to visit. 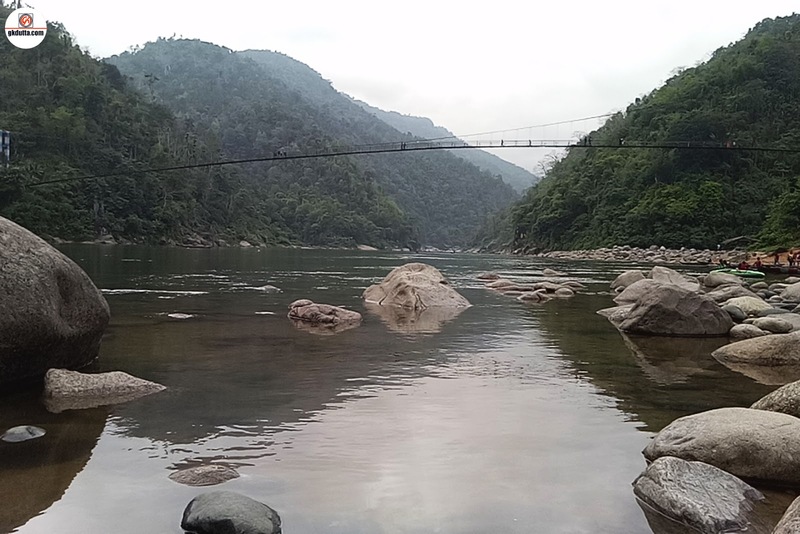 The water of the river is absolutely crystal clear & one can easily see the bottom of the river. 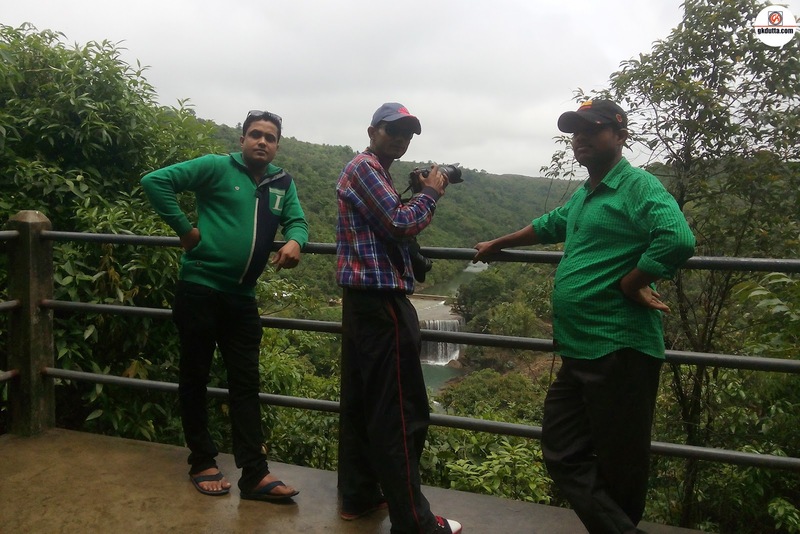 Boating, Cliff jumping, zip lining, scuba diving are available. 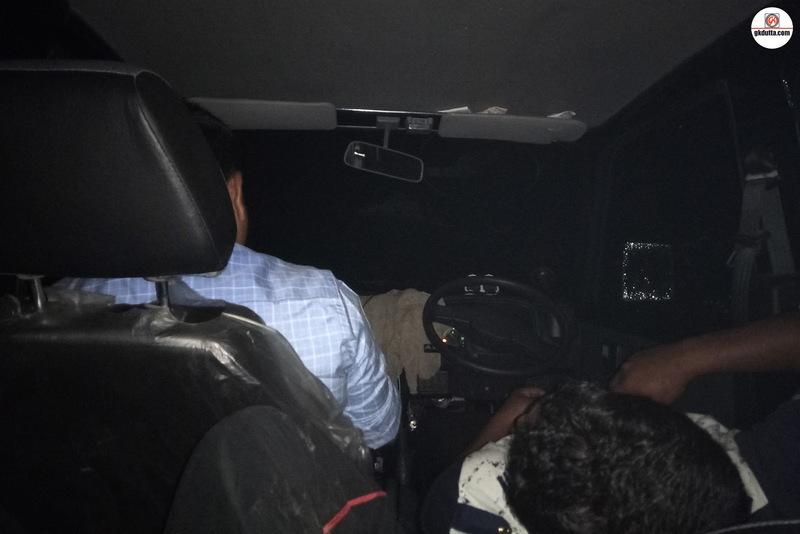 Even night stay is possible with provision of all basic amenities. 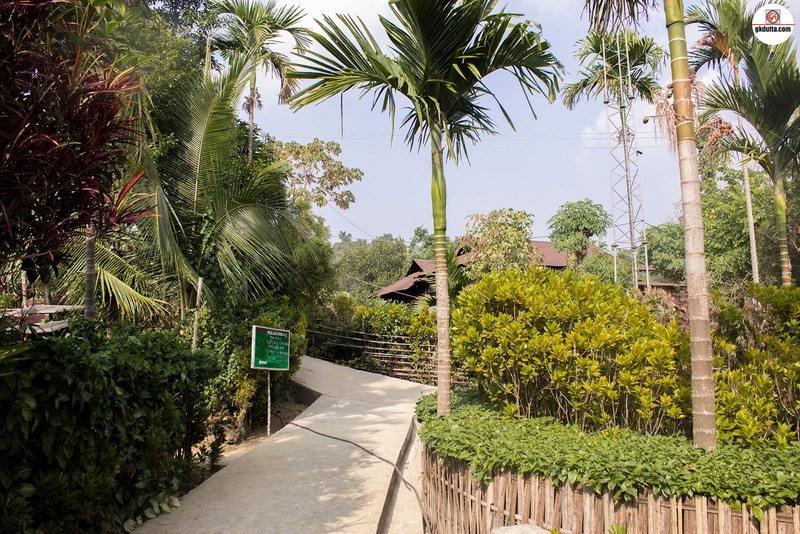 For families home stay is ideal & for adventure seekers tent are there. 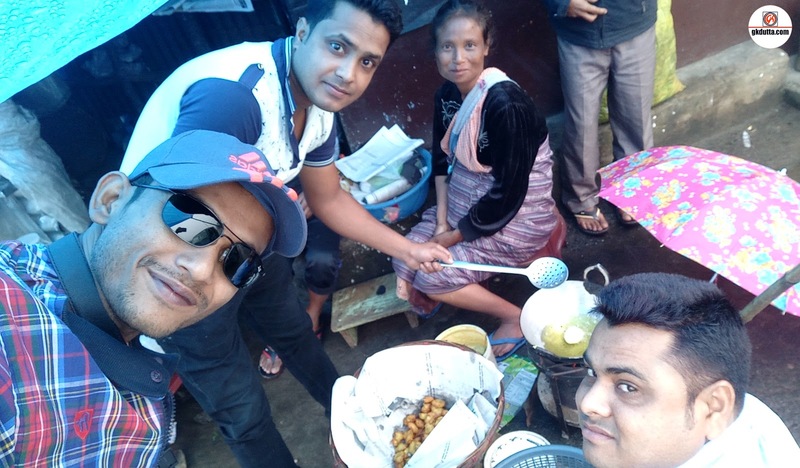 Homemade food is served to guests. 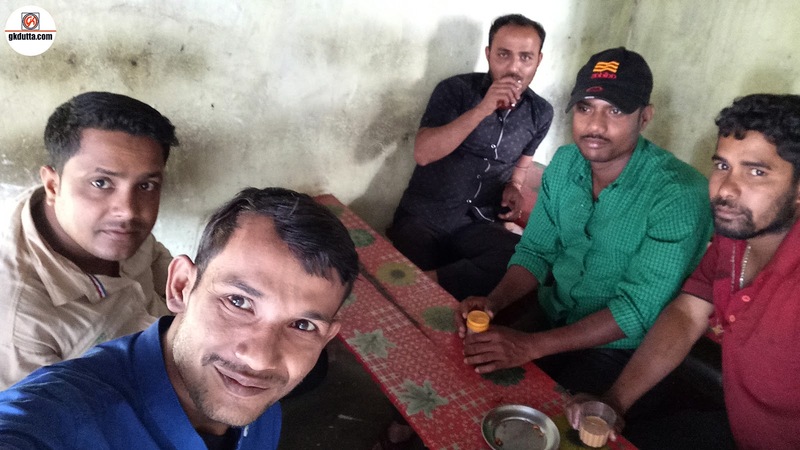 Villager’s hospitality is of high standard. 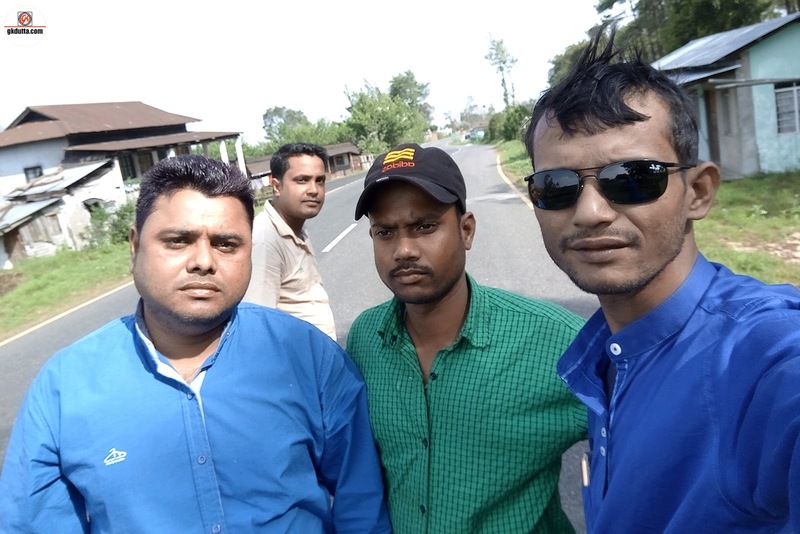 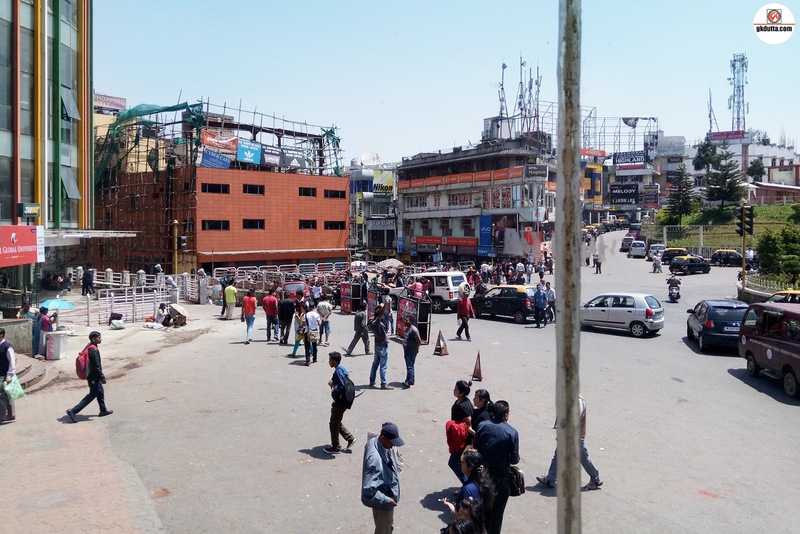 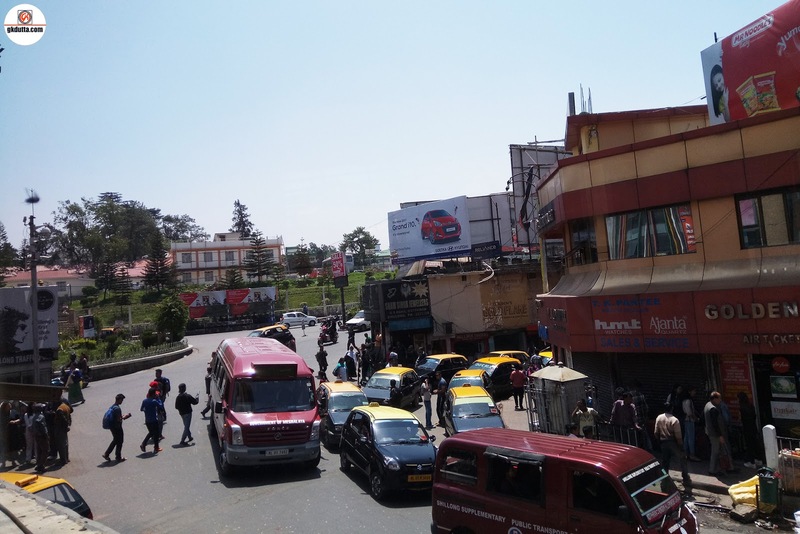 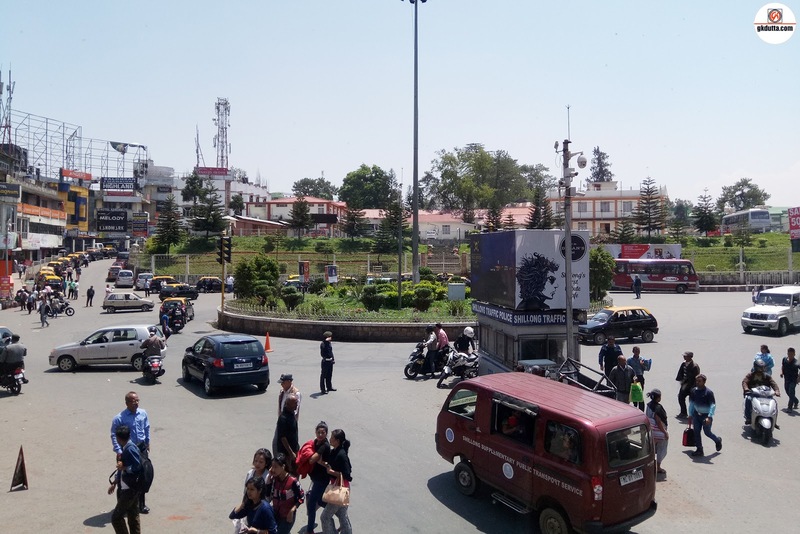 Around 3.30PM we leaving for Shillong via Dawki town and around 7PM reached Shillong and checked-in in a hotel at Police Bazar, after having dinner we spent night in leisure at hotel. 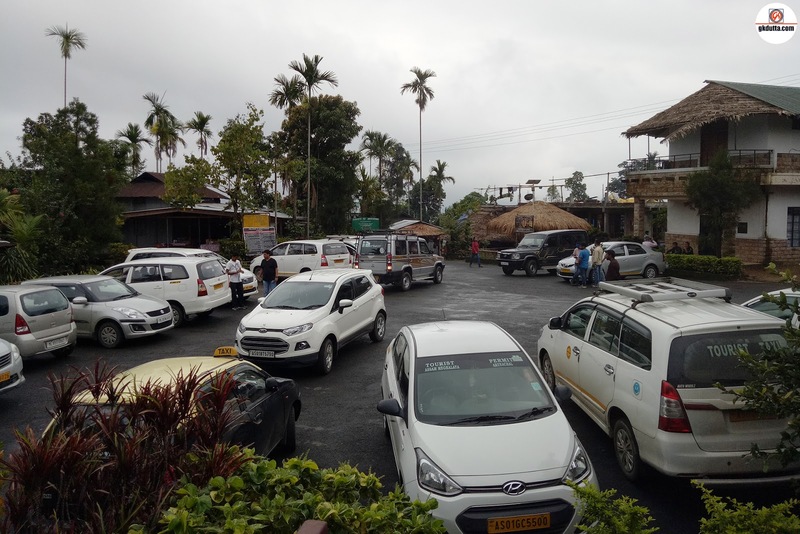 As on 24th April 2017 around 8AM after having our breakfast we start our journey towards Riwai Village and Mawlynnong village. 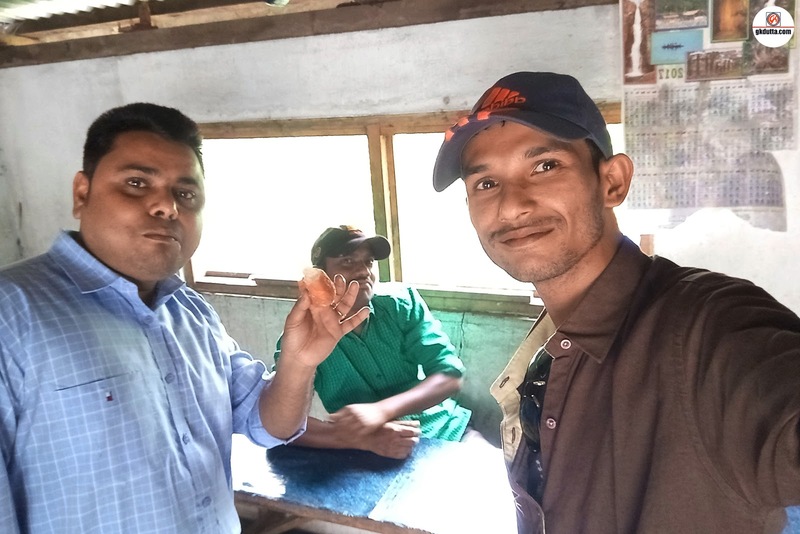 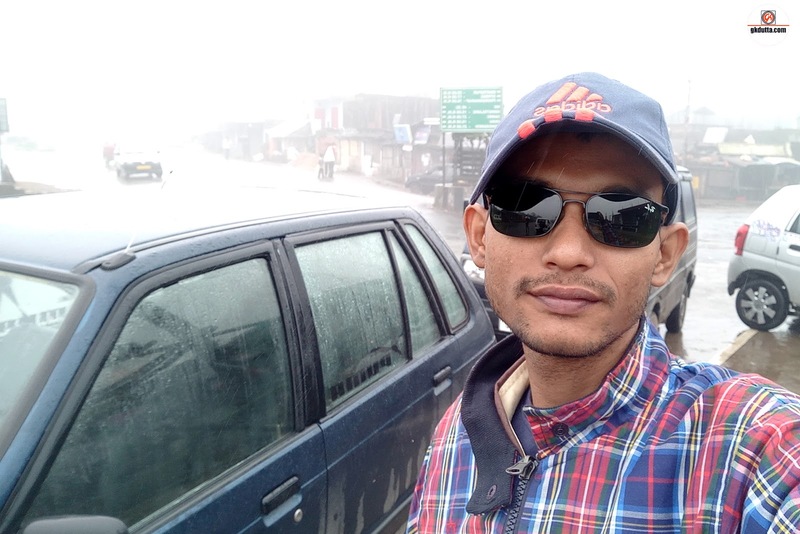 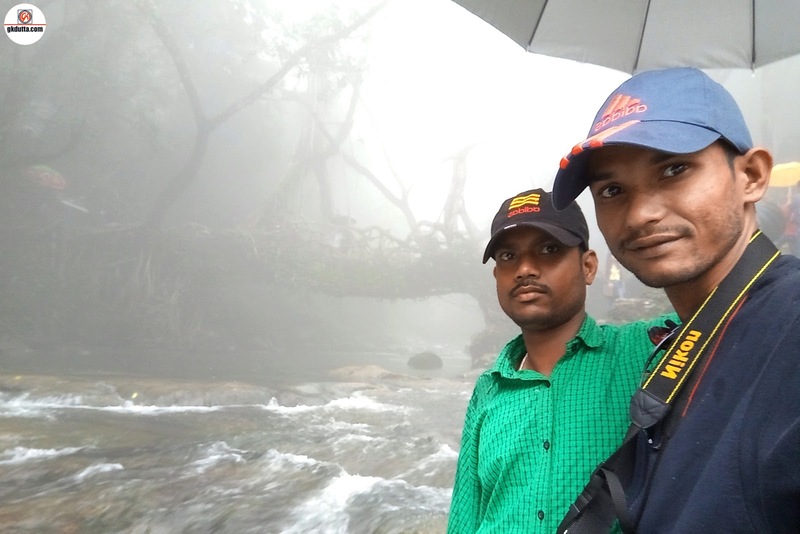 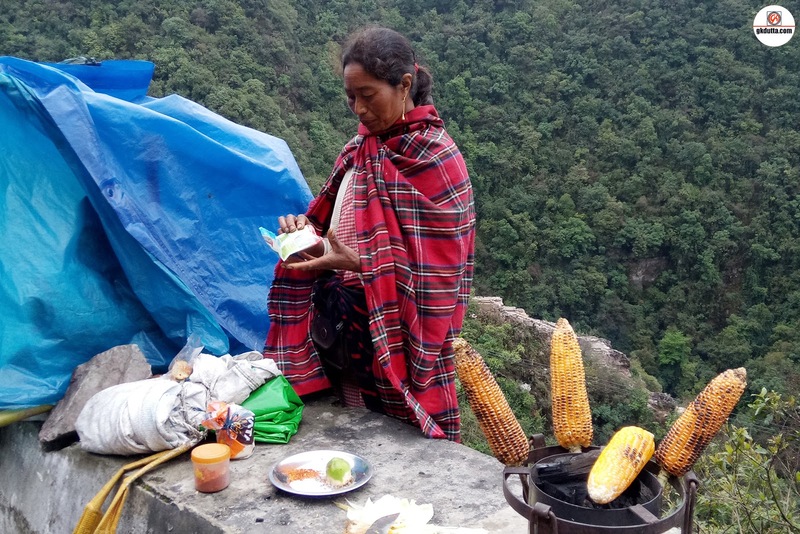 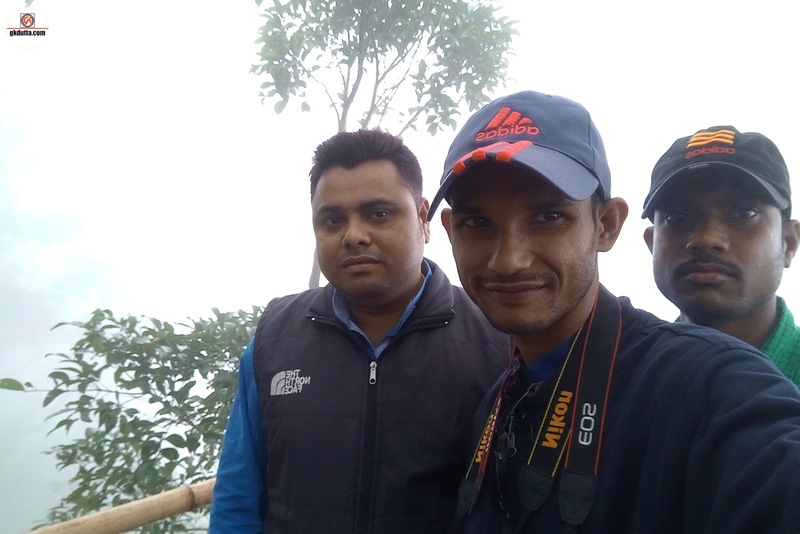 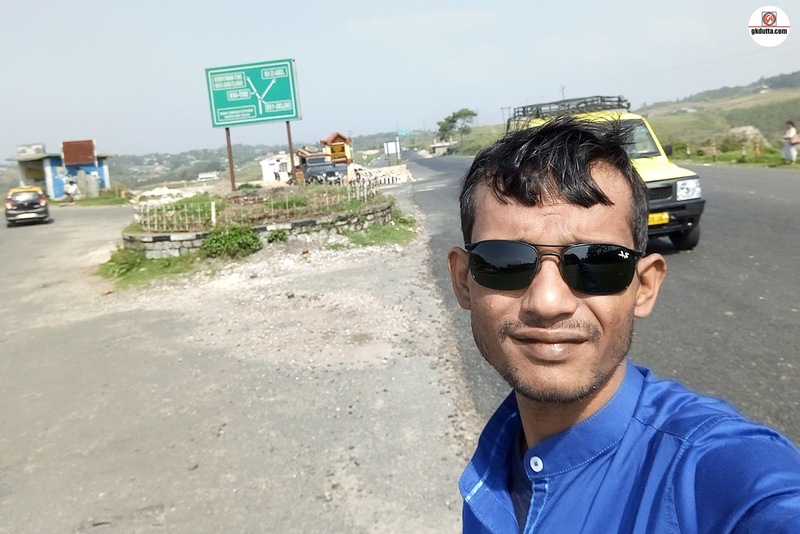 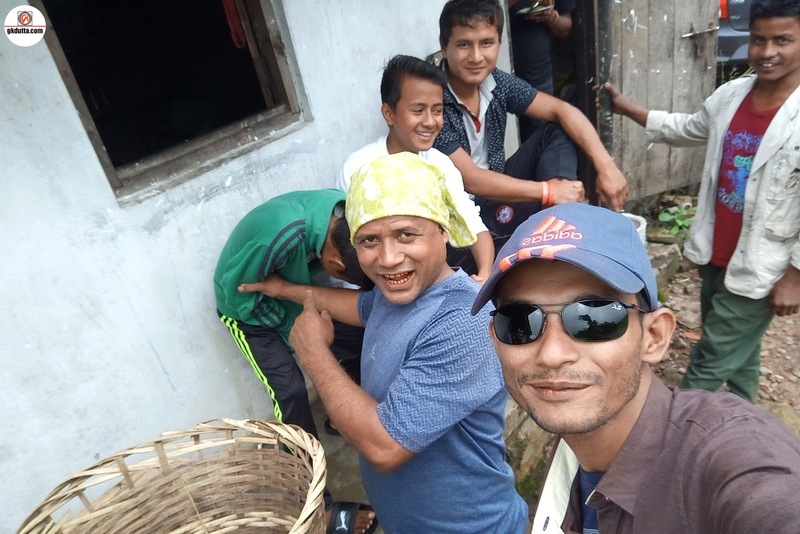 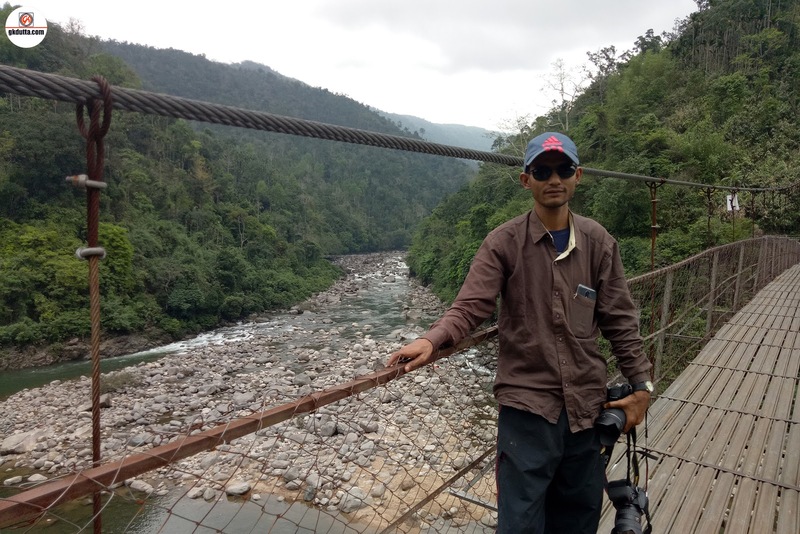 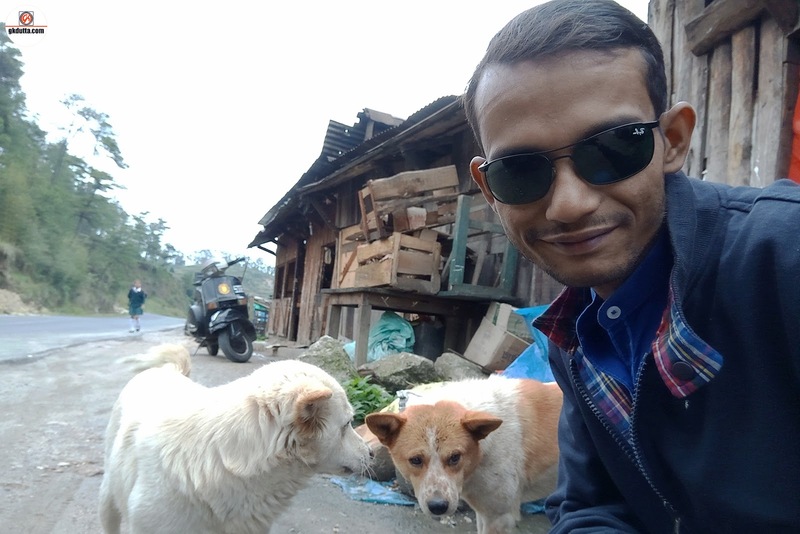 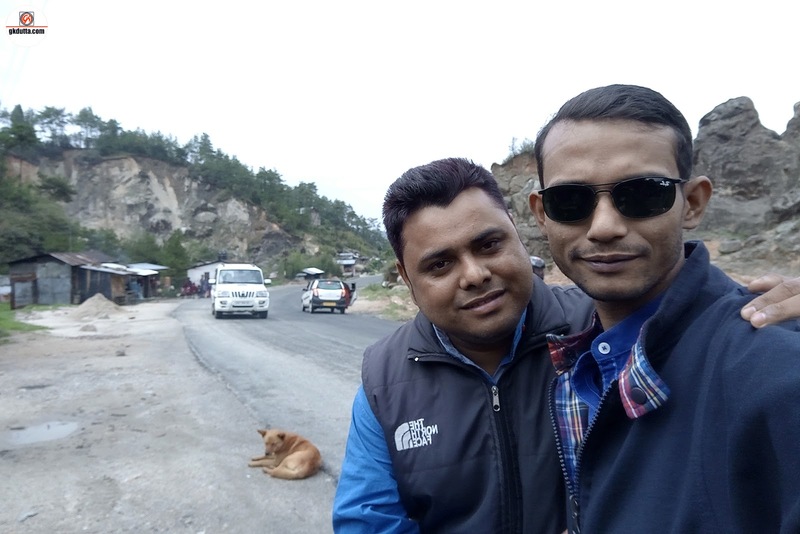 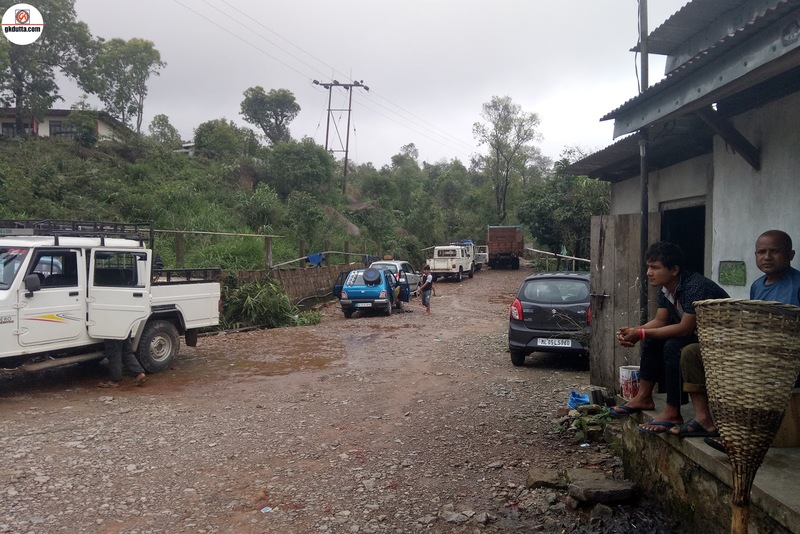 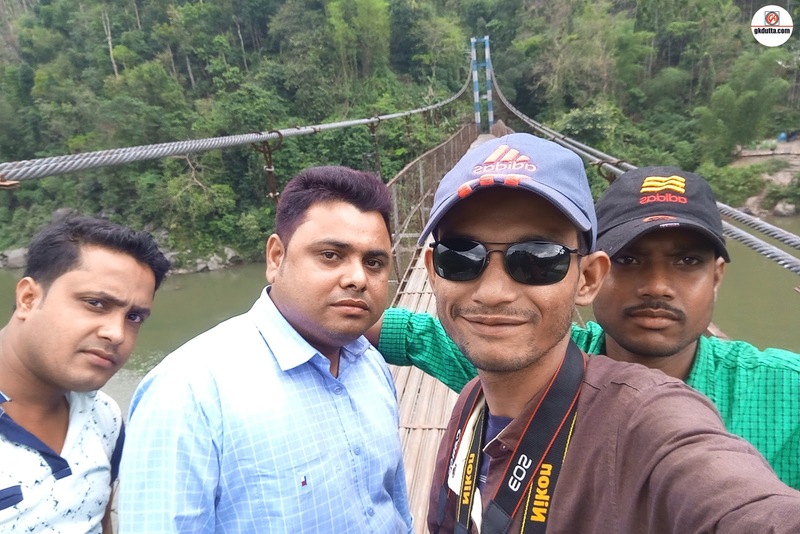 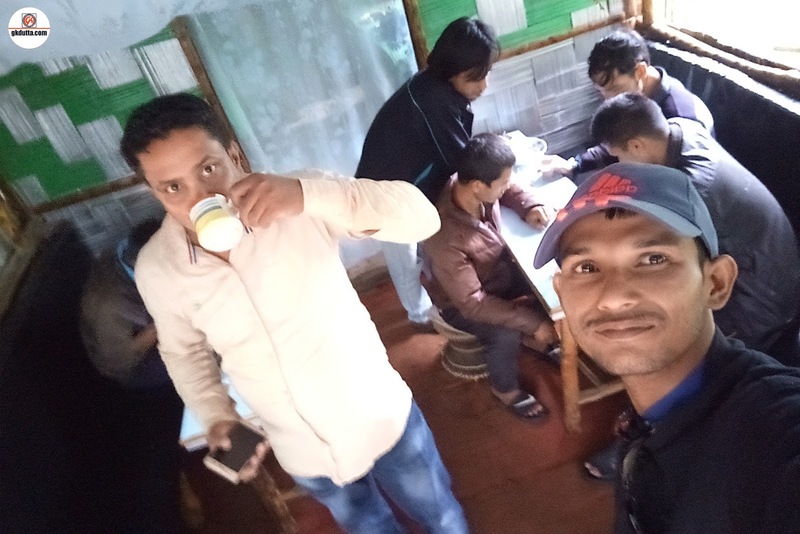 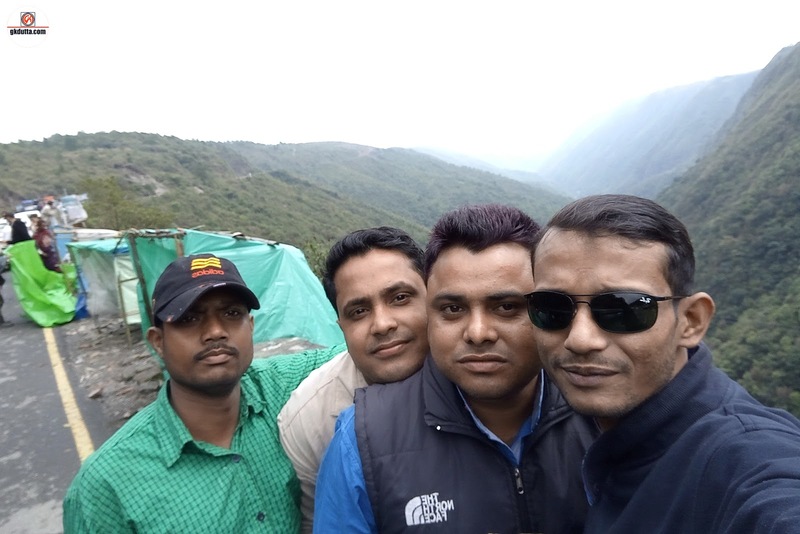 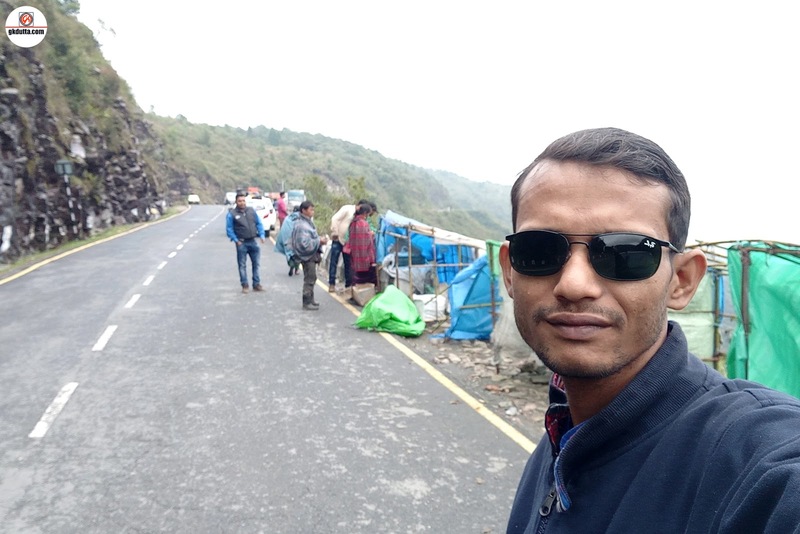 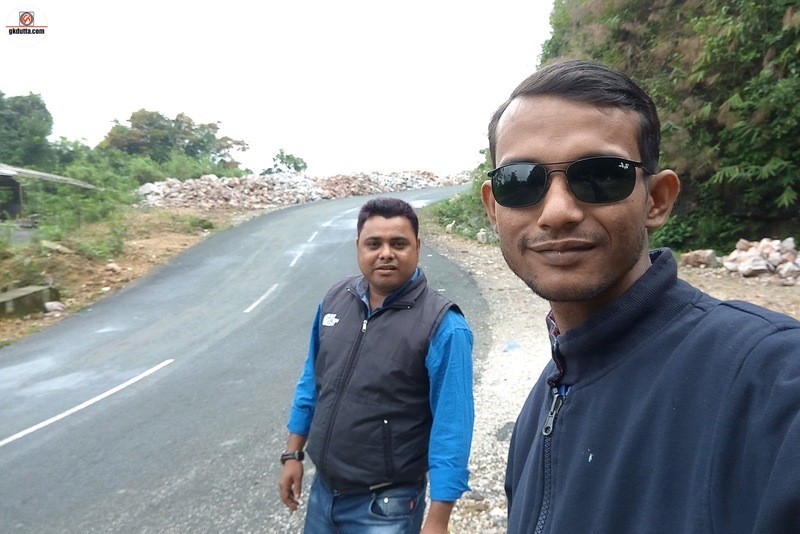 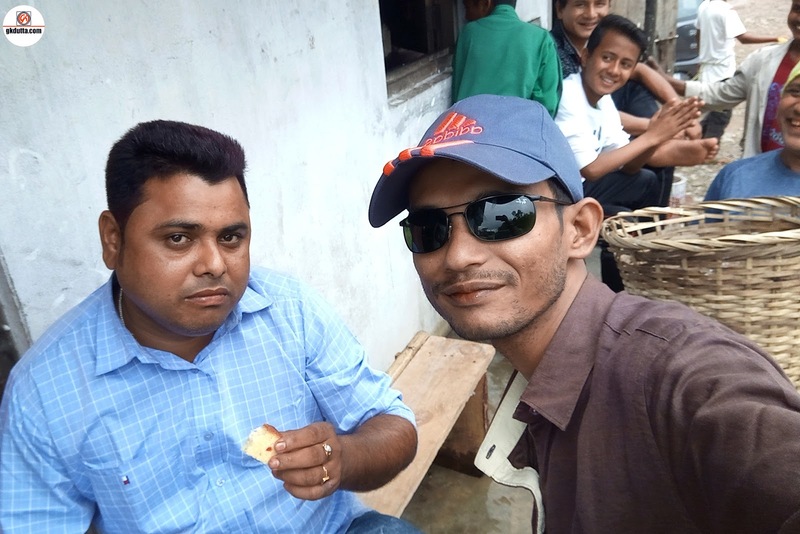 Around 9.30AM we had a tea break at Cherrapunji road and after that we again start our journey towards Riwai Village and Mawlynnong village. 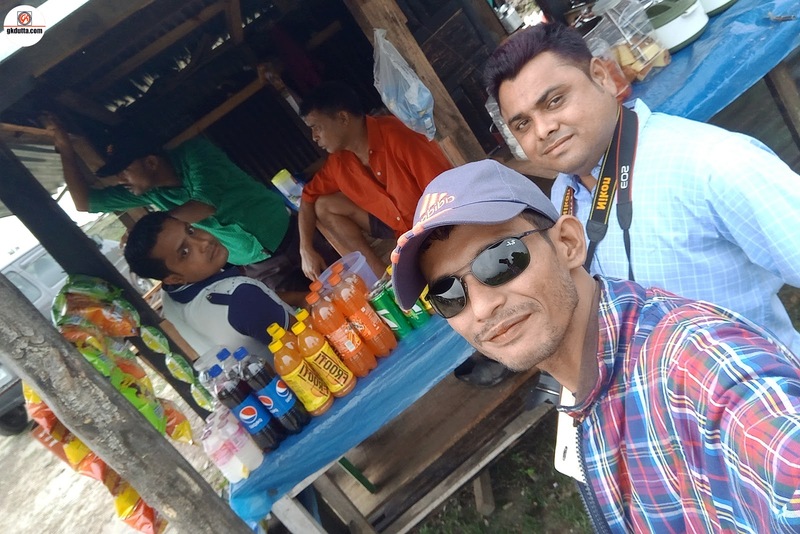 Around 12.30PM we reached Riwai village. 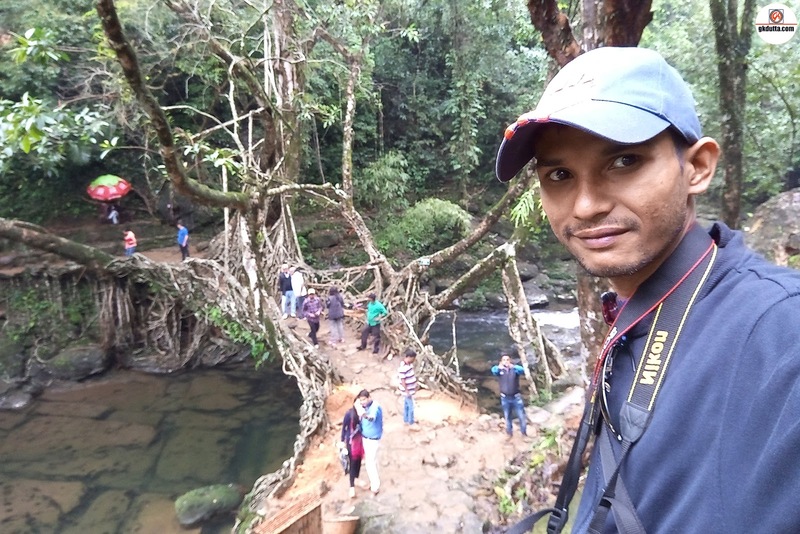 Riwai Village located in the East Khasi Hills of Meghalaya, the village offers picturesque natural beauty, a trek to the living root bridge. 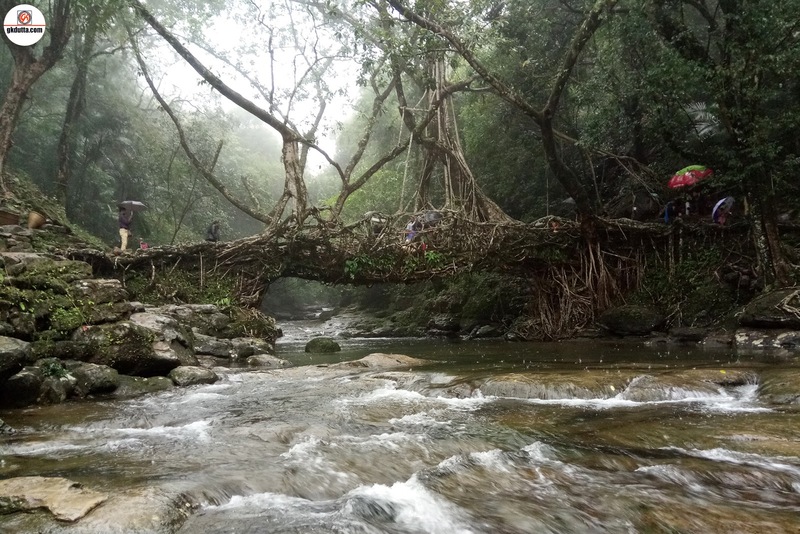 This “Living Root Bridge” carbon dated to 1100 years back is a testimony to the far-sighted vision of past generations. 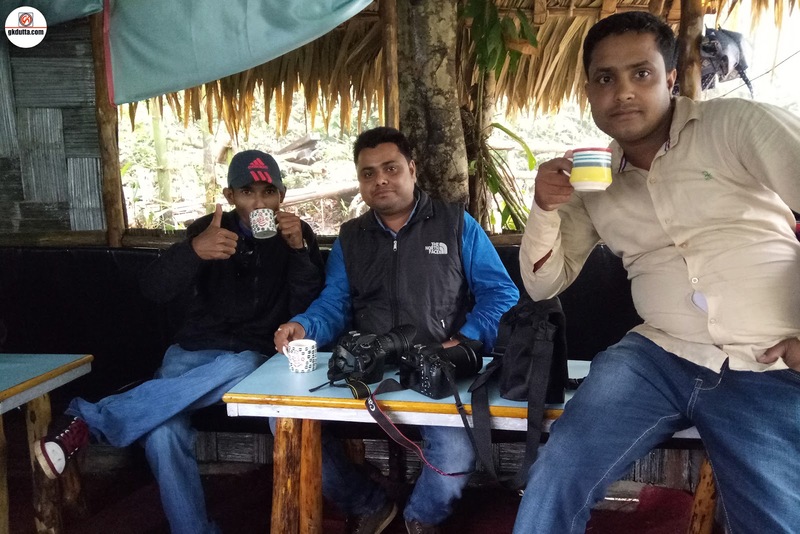 After spending two hours in living Root Bridge, we had a tea break in a restaurant. 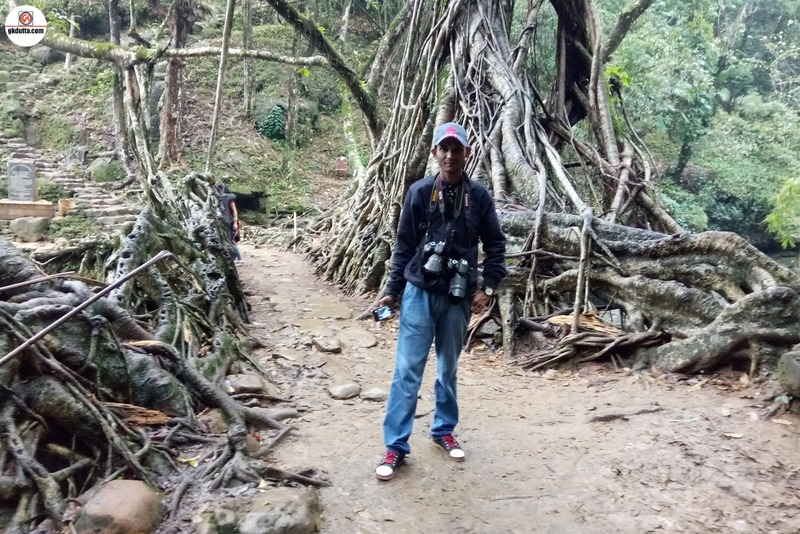 After few minutes of break we enter in the Riwai village to enjoy the picturesque natural beauty from tree house. 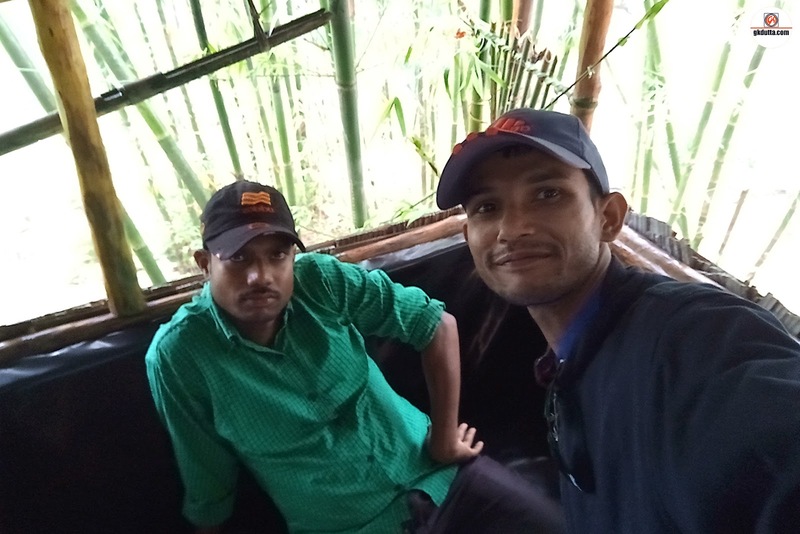 A machan based on bamboo stilts combines extremely well with the normal encompassing giving it a look of a tree house. 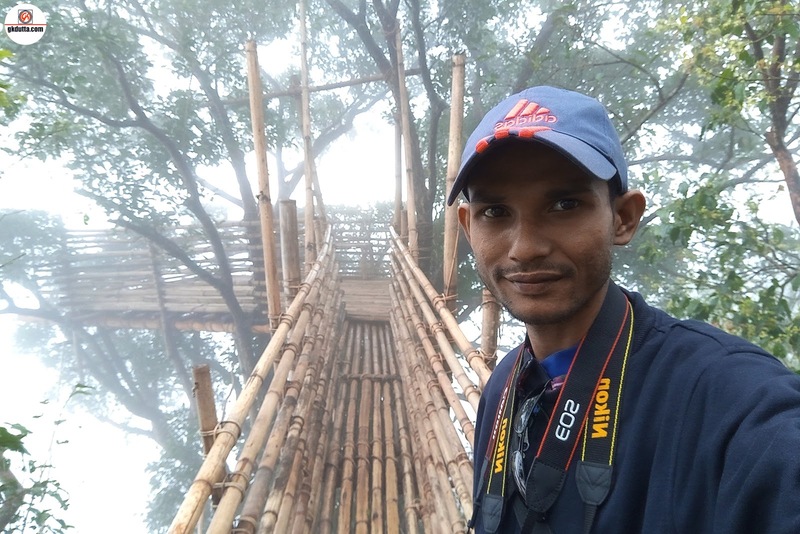 Tree House is a survey stage based on the branches of the most astounding tree in the town. 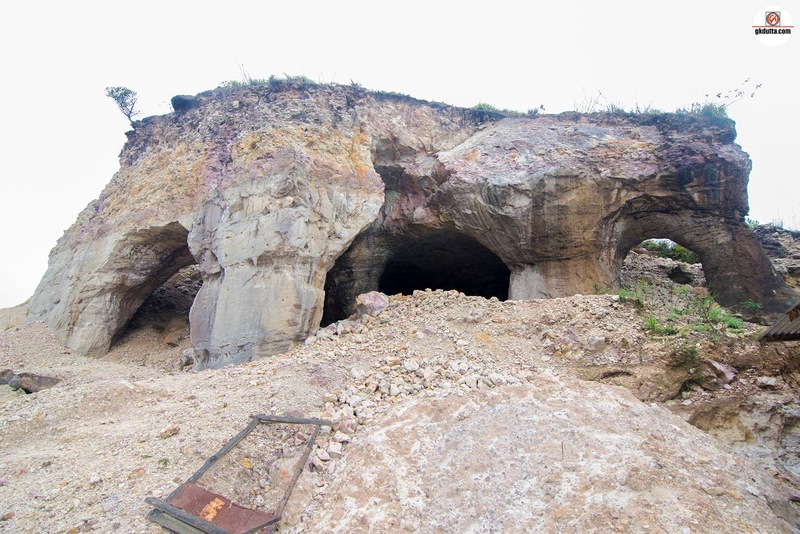 To include, no nails are utilized as a part of building this 85 feet high stage. 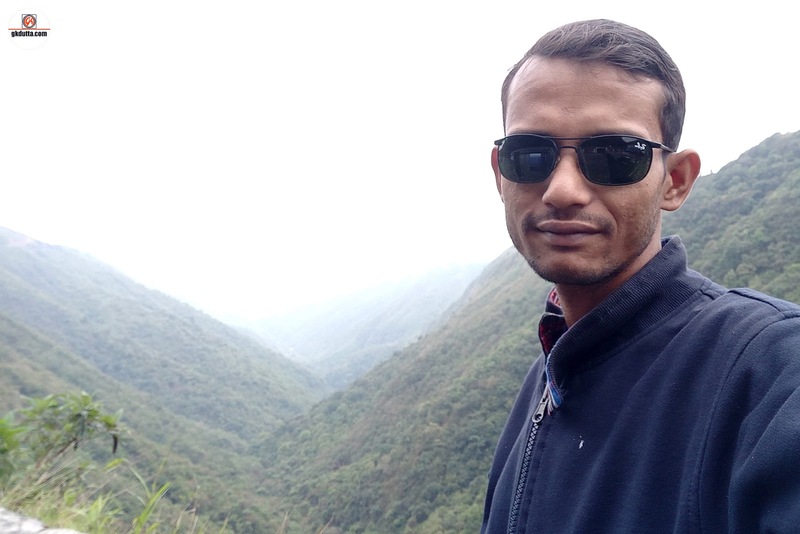 The sky perspective offers a strange affair of looking down at the covering of Meghalaya’s backwoods converging with the fields of Bangladesh. 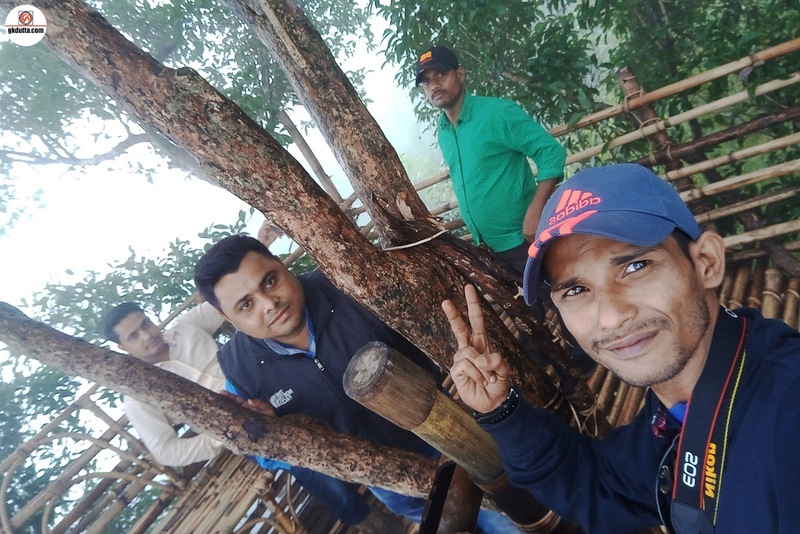 It has been built by building a bamboo scaffold, associating upto five trees, inclining upwards; interestingly every one of the extensions and even the stepping stools are all tied with bamboo filaments. 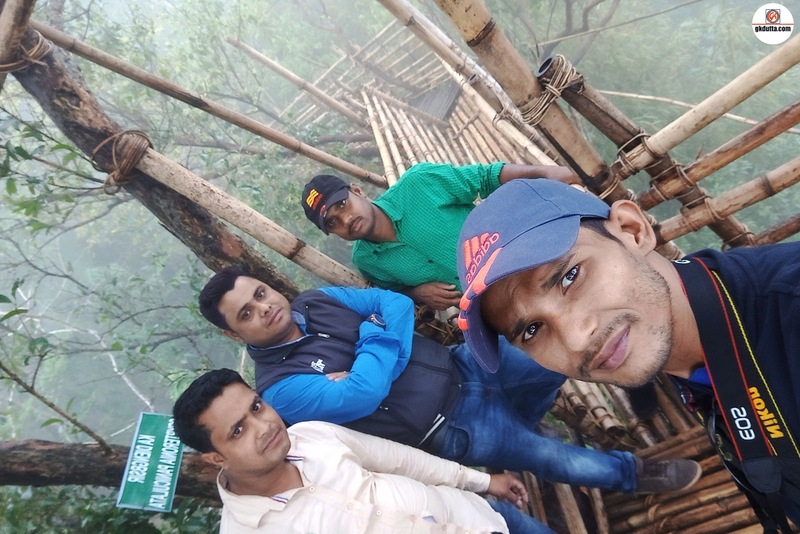 Also, as you rise through the shaky scaffolds and steps to achieve the stage, an inclination pressed with adrenaline sets in, over the trees, sitting above the outskirts of two nation’s consolidation, and remaining on a stage that appears like a situated Aladdin’s supernatural rug. 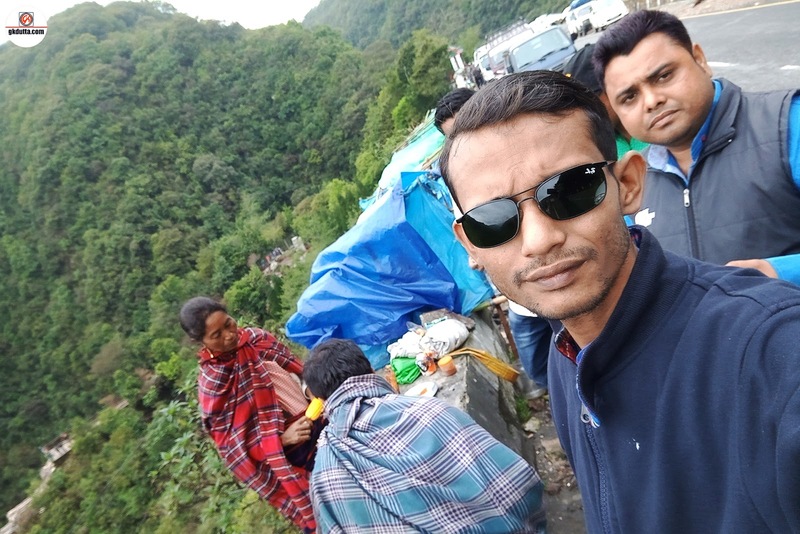 Around 4.30PM we leaving for Shillong, after spending few hours in Police Bazar, we had our dinner and spent night in gossiping at hotel room. 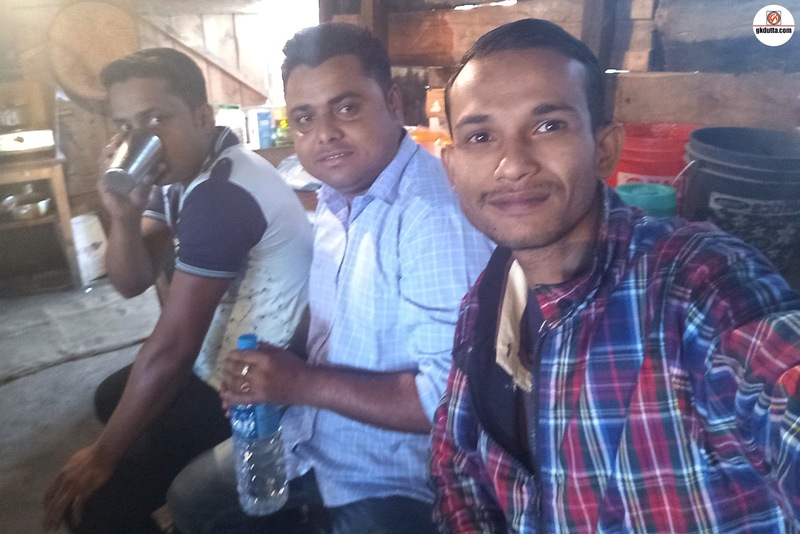 After having our breakfast we went to Police Bazar point, rooming, shopping and enjoying the crowds in Police Bazar point and around 1.30PM we leaving for Dharmanagar via Jowai and next day 26th April 2017 around 6.30AM we reached home safely.